I have lost count how many years I have chatted to Kiren, the current owner of Bladebone Inn, in the social media space; but it’s only in June 2012 that we accidentally bumped into one another in the real world. One of his first questions when we finally met was “when are we going to see you at Bladebone?”. OK, Berkshire is not exactly that far from London but I just did not seem to find that opportunity to visit Bladebone Inn because of all my work travels outside the UK. In fact, there was one time when I got so close to visiting the place, but a business acquaintance decided to take his initiative and book another place in a neighbouring village for dinner instead, thinking that the other place was where I was thinking. Still, finally just before Christmas, the opportunity came up one lunchtime, en route from London to the west country. I grabbed that opportunity firmly and made sure that it would not slip out of my hands into 2013. Bladebone Inn is a pub in the quiet village of Bucklebury – thanks to modern technology, the GPS was a much-needed gadget to guide me to this former 17th century inn. Strangely enough, the GPS and mobile phone signal just dropped dead as soon as the pub was in sight. There’s a certain charm to the pub, not just its location, but with its “Dogs and muddy boots welcome” sign at the front door. Kiren came to the bar area to give us a warm welcome and suggested that we should try his “cheeky little 5-courser”. Even though I’ve got plans for dinner that evening, I thought – why not? 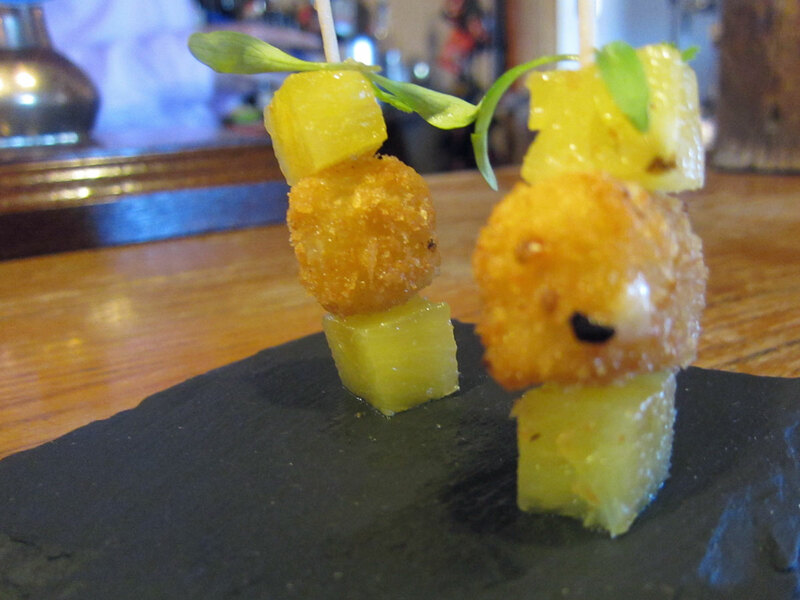 A first little plate of “cheese and pineapple” promptly arrived, as a prelude to the 5-course tasting menu. Even for a non-cheddar cheese fan, the salty flavour of the fried Montgomery Cheddar cheese really brought out the sweetness of the pineapple cubes. We were then taken to the table, where brioche was brought to the table. 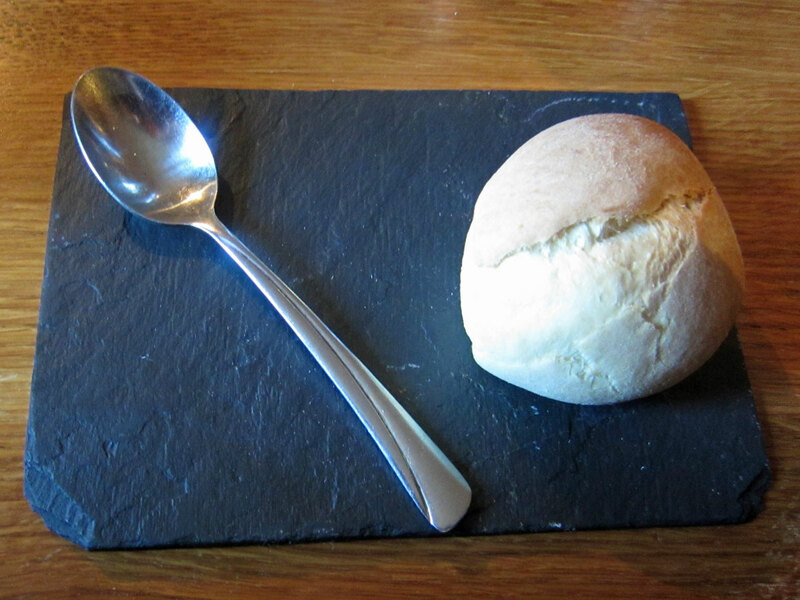 Then Kiren just pushed the plant pots in the middle of the table in front of us, and announced proudly “here’s your first course, Chicken Liver Parfait with Brioche”. 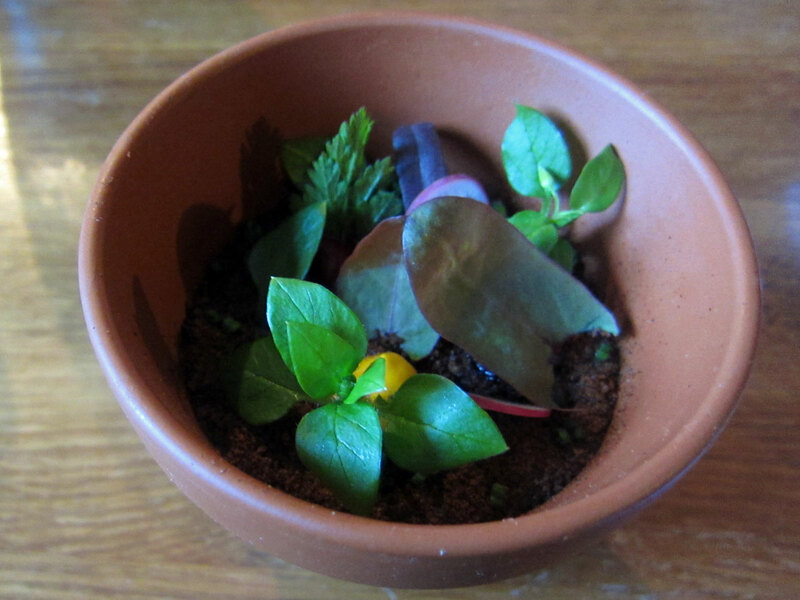 The presentation certainly came as a surprise, as it did look more like a quirky herb pot decoration than an edible dish, with some herb leaves growing out of a dark-brown soil-like layer of dried crumbled malt loaf. 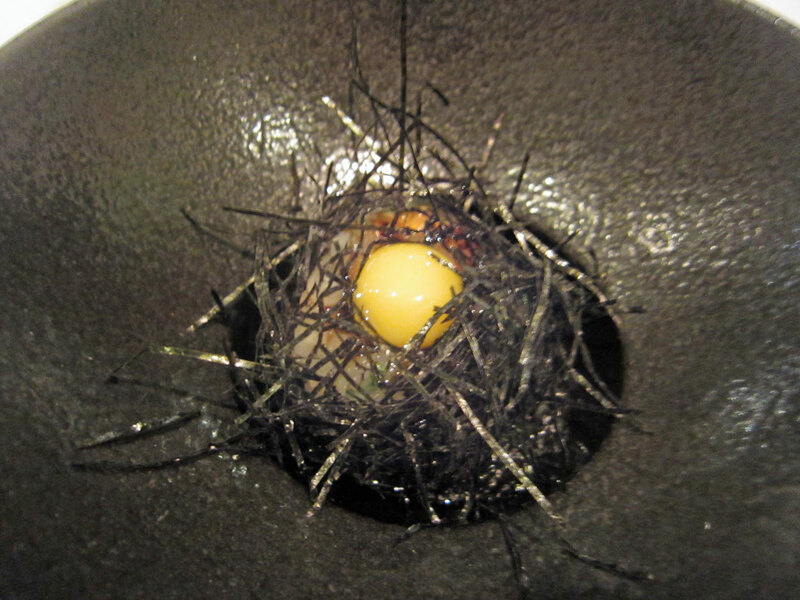 Digging down into the “soil”, the chicken liver parfait was revealed. 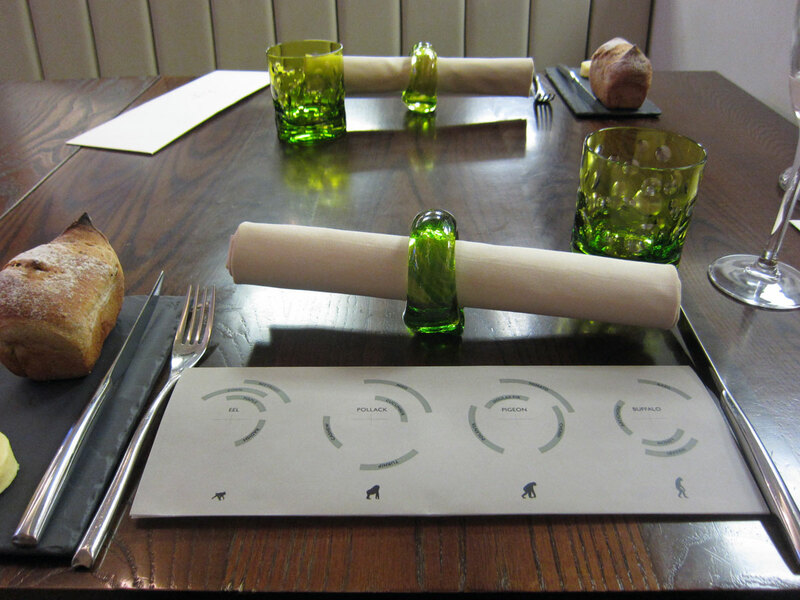 The concept was certainly interesting and made the food look fun. The flavour of the liver was a bit too strong on its own; and it was better when combined with the sweetness of the brioche. 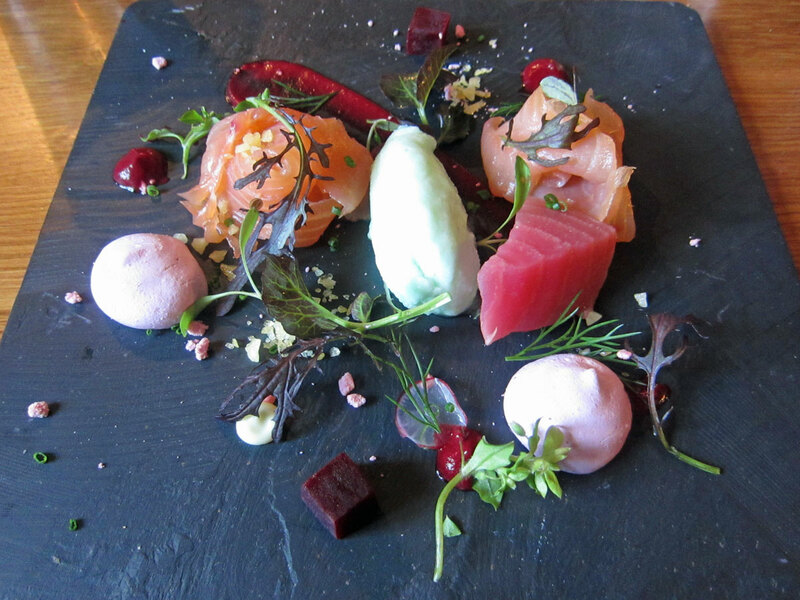 The next course was like a piece of art on a plate and was brought to the table with a glass dome cover – smoked salmon with beetroot and wasabi mousse. The smoked salmon tasted beautiful, and one piece of beetroot disguised itself as a raw tuna lookalike – it’s only when I cut into it did I realise that it was not tuna at all. 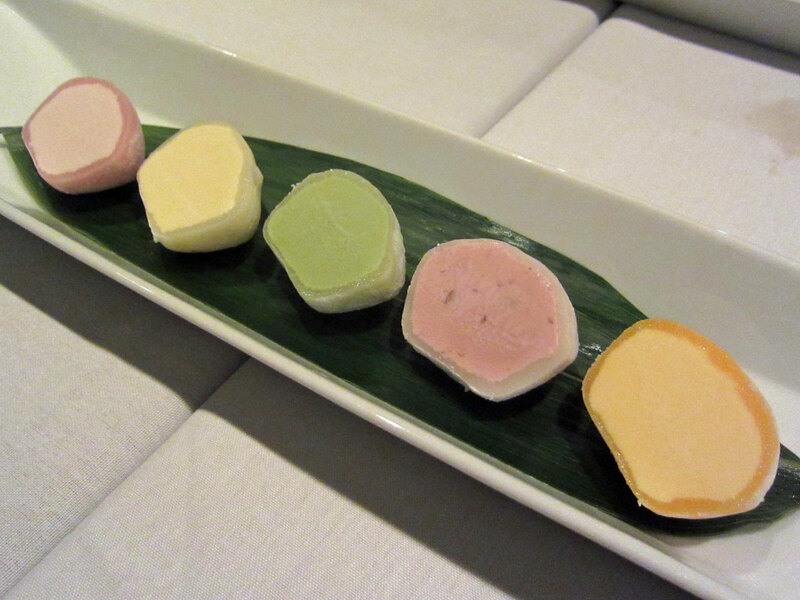 The wasabi mousse was not too strong-flavoured which was a relief (some chefs were very good at over-doing it with wasabi and I hated that, unless I had a bad cold and completely blocked nose). The beetroot meringue added the necessary sweetness to the dish. There were beetroot popping candies peppered over the plate, which I thought was not needed. Making the dish fun and playful? Yes, but it lowered the tone of the dish. 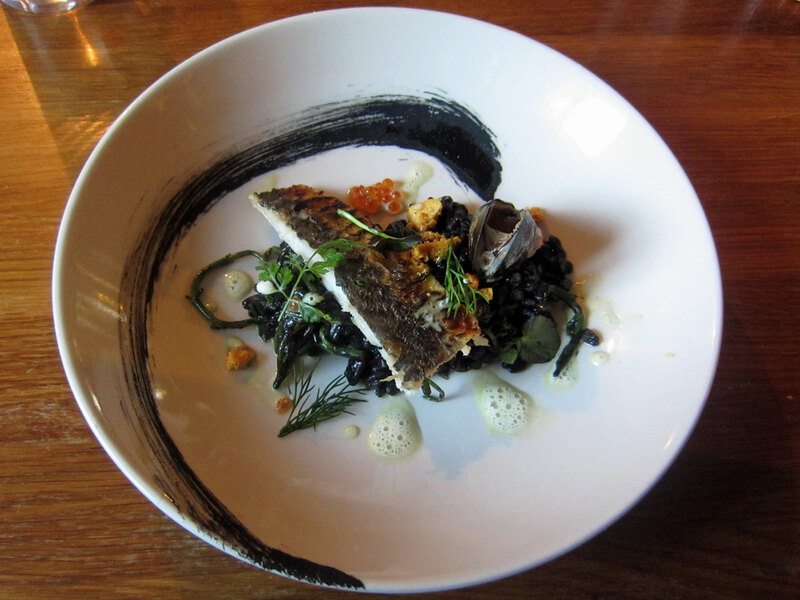 The third course was mackerel with squid ink pearl spelt, mussel, samphire and trout roe. While the mackerel was a little on the dry side on its own, it was saved by the moisture from the spelt. 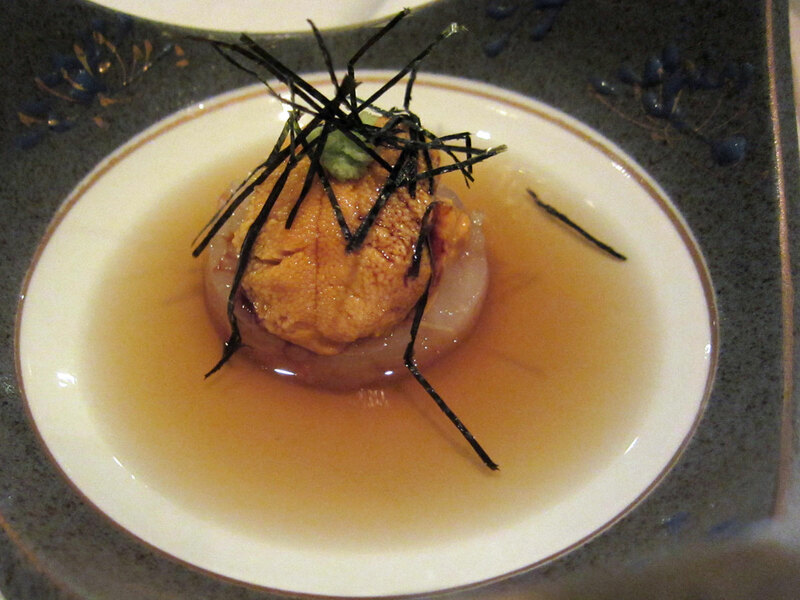 There were a few small crunches of honeycomb which gave that little extra sweetness to the dish. The presentation was once again impressive and looked like some Japanese artwork. The main course was duck breast and confit leg, celeriac, mulled cabbage, beetroot, walnut and blood orange. Whilst the duck breast was a bit tougher than I would have liked, it was still beautifully cooked, and all the ingredients worked well together. 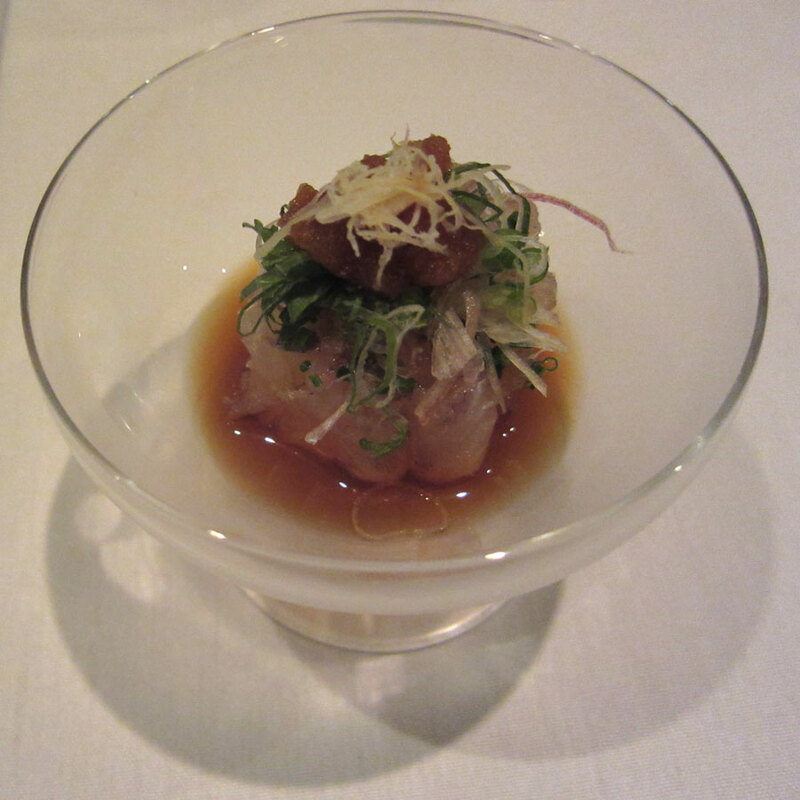 With such impressive starters and fish courses earlier on, it was a hard act to follow. So far the portions were not exactly little, but I enjoyed the lunch immensely. The final course was a light . 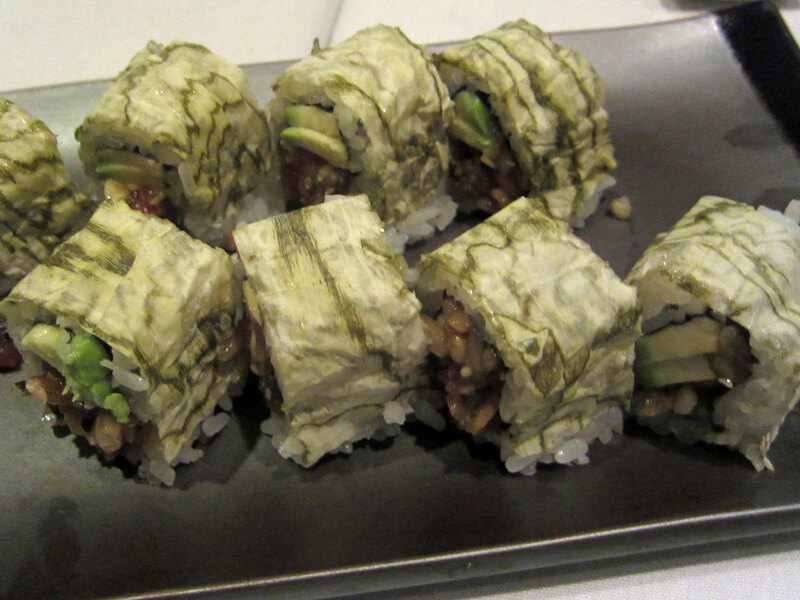 Apart from the lemon, all the ingredients were locally sourced, according to Kiren. 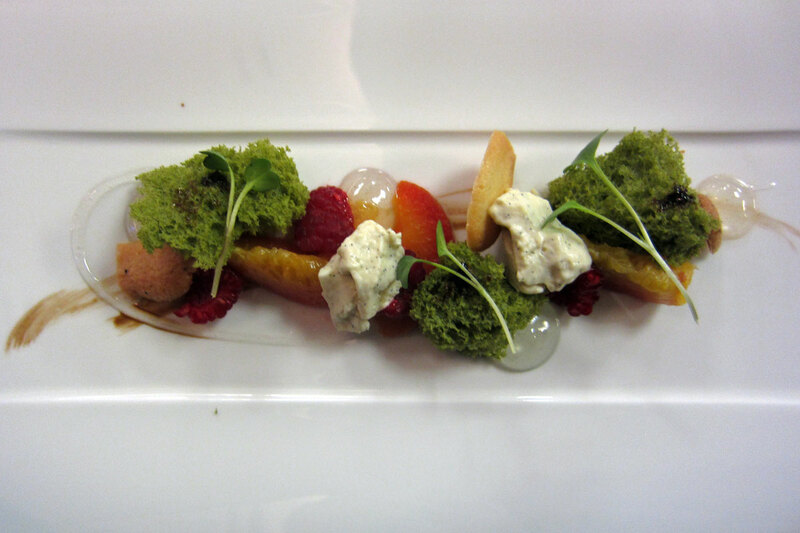 This dessert was light and not too sweet – a very refreshing dish to finish off this wonderful journey for the taste-bud. The presentation and choice of ingredients showed some very promising and impressive, yet playful, ideas, even though some fine-tuning is needed to take this to the next level – it’s only a matter of time. Is this a future star in the making? I think so. 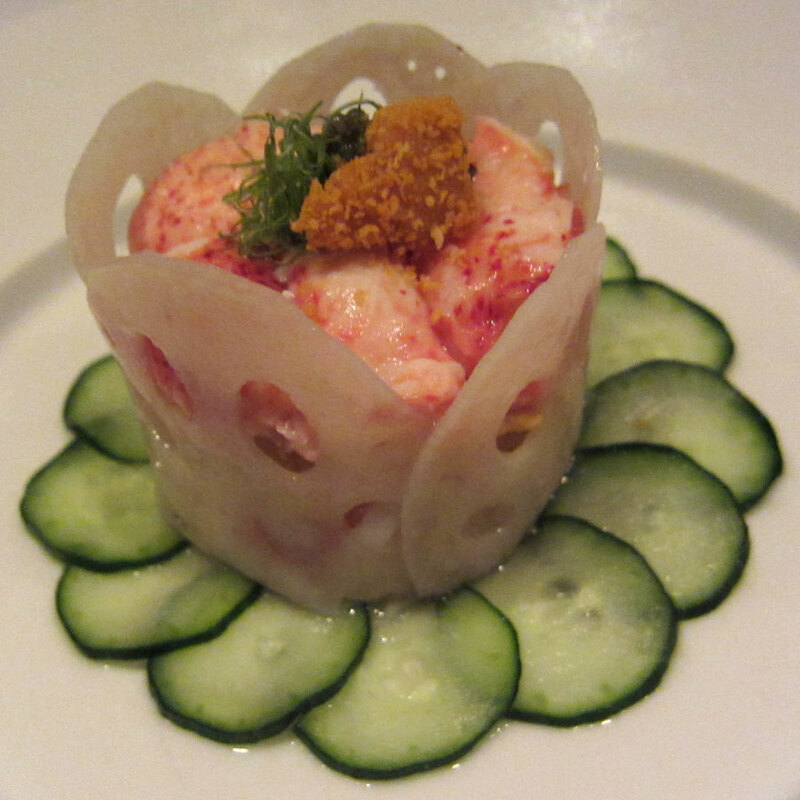 I already look forward to the next visit to Bladebone Inn (hopefully not too long into 2013). Ever since John Campbell and Olly Rouse’s departures from Coworth Park in 2011, I have been wondering what they would do next. It just seemed such a shame that the immense amount of work building up the magic of Coworth Park suddenly evaporated, and it would be hard to re-create something similar elsewhere. 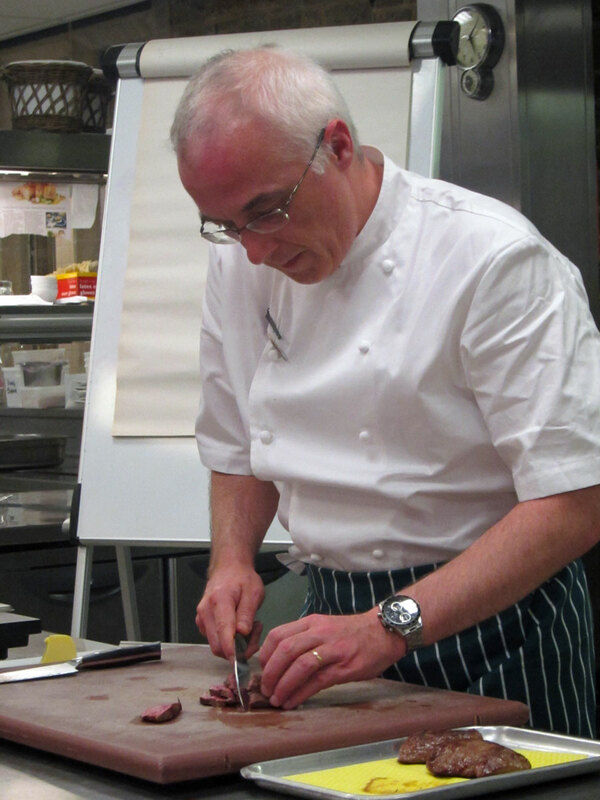 They went quiet for quite a while, and so I was pleasantly surprised and excited when I learnt that they would do a 3-day event with Matt Gillan at The Pass at South Lodge Hotel just outside Horsham 21-23 June. I knew very early on that I would not be able to make it to the first 2 days as I would be away from the UK for business, so that left me with no choice but to just shoot for Saturday 23 June. Not a bad thing anyway, as I did not have to worry about getting stuck on M25 during evening rush hours just to get to Horsham. I was pleased to go to South Lodge again also, having not been there for over 10 years (last time I stayed at South Lodge was a team-building event at my ex-employer in Horsham – at that time The Pass was not even there, and the hotel was a lot smaller). There was a masterclass run by John Campbell mid-afternoon, and so I made sure I got to the hotel before then. Even with meticulous planning, M25 as usual worked its magic against me and I was nearly late – fortunately I built in some extra travelling time and that meant I arrived at South Lodge with about half an hour to spare. 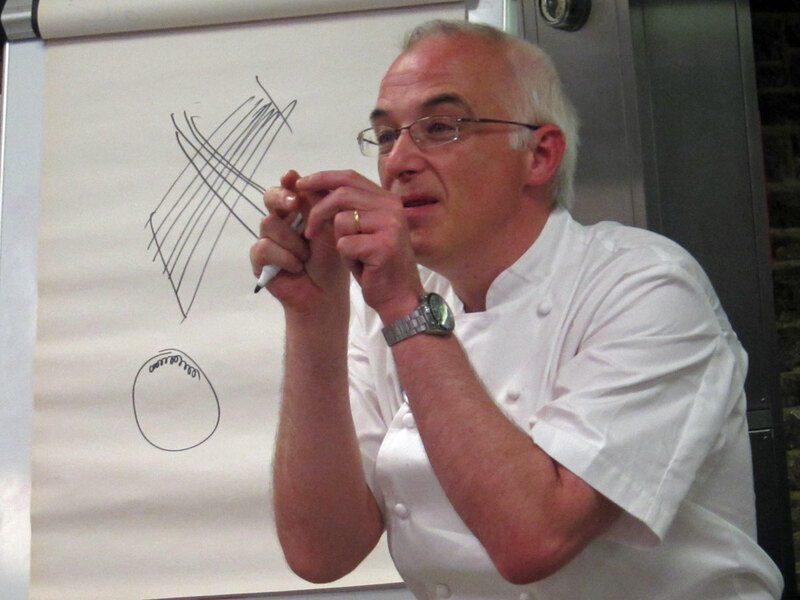 I took a front row seat at the afternoon masterclass, listening to John sharing his passion on cooking supplemented by his scientific knowledge and understanding in food chemistry, from cooking the different cuts of beef to the use of agar in delivering the flavours in food, as well as making fizzy grapes (imagine sparkling wine in solid fruit state). A lot of good tips and hints for cooking for friends at home – it’s not a matter of making something ultra-complicated a la Heston Blumenthal style, but to understand how all the different ingredients contribute to each dish based on flavours and ultimately timing is the crucial factor for all cooking. The “back to basics” cooking is almost music to my ears. I was already looking forward to dinner by this stage. 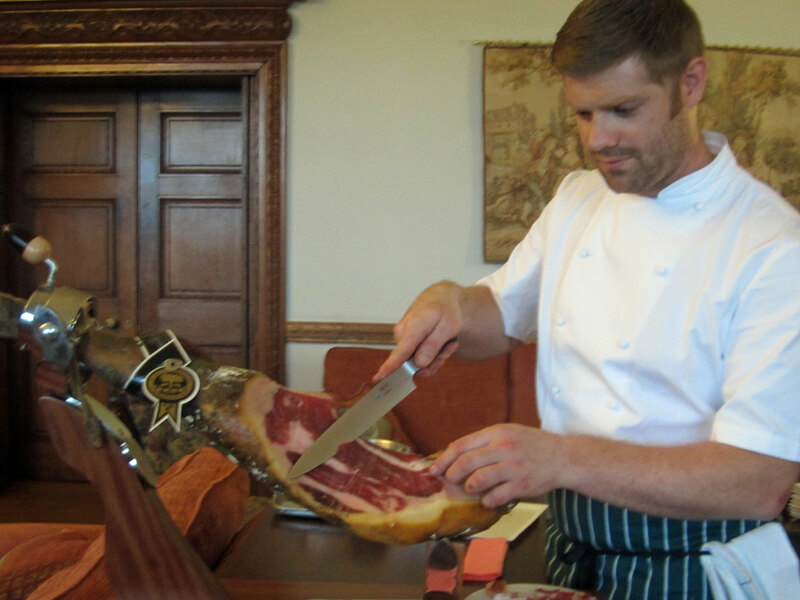 To serve with the aperitif, we were offered some very delicious Jabugo ham – the flavour just burst in the mouth and I had to really control myself not to eat too much of it so that it would spoil my appetite for the evening. 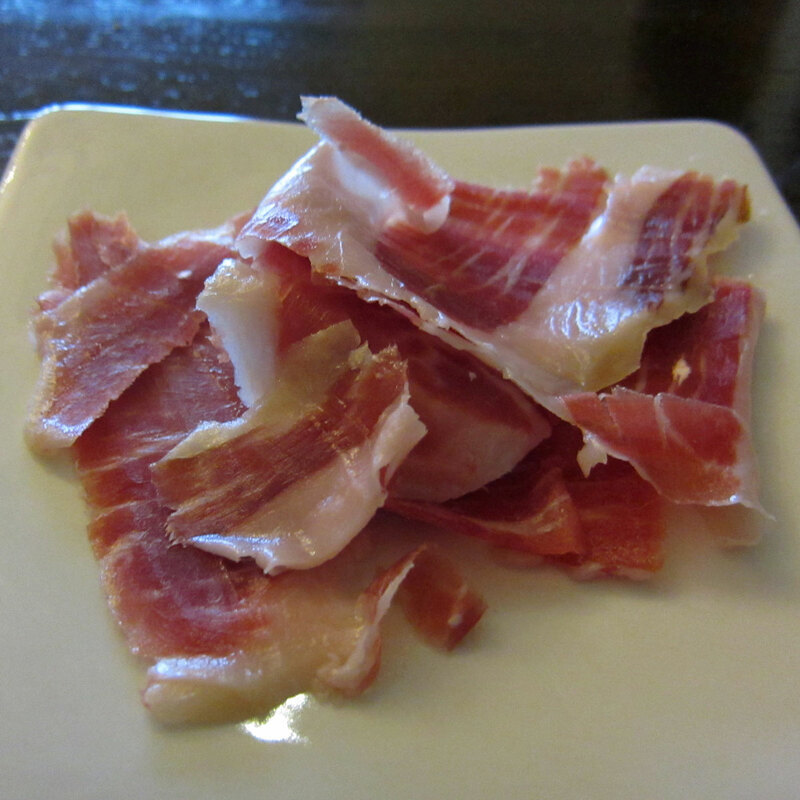 The ham came from black Iberian pigs that have been fed on a pure acorn diet for 2 years. We also had a taster of the new olive oil which went from tree to bottle within 2 hours. It was one of the fruitiest olive oils I’ve ever tasted. 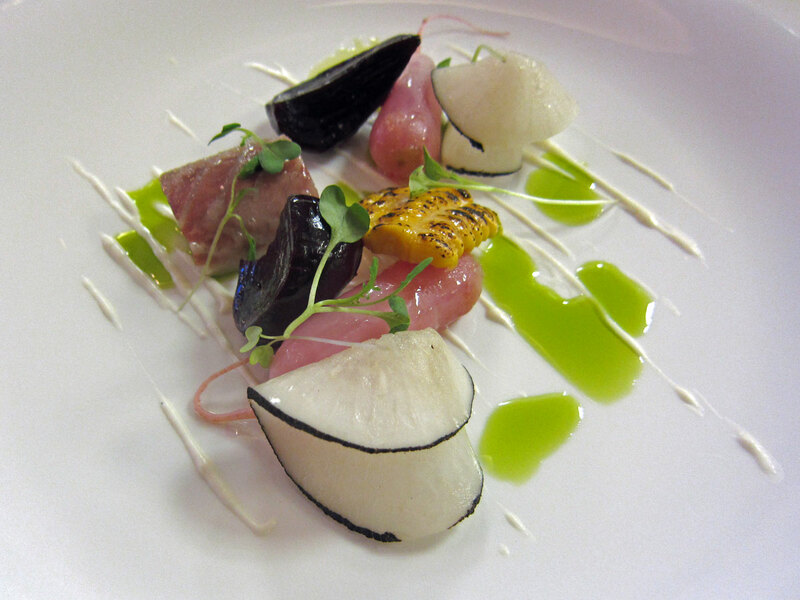 The first dish was Eel served with beetroot, corn, radish and maple. 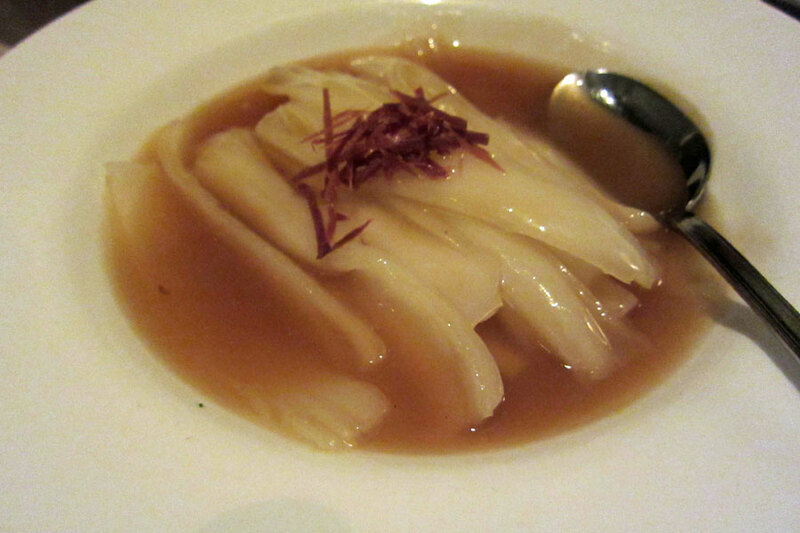 The more sour/acidic taste of radish was balanced by the sweetness of the corn and maple. Even with the sharpness of the beetroot, the dish had a clean fresh flavour. 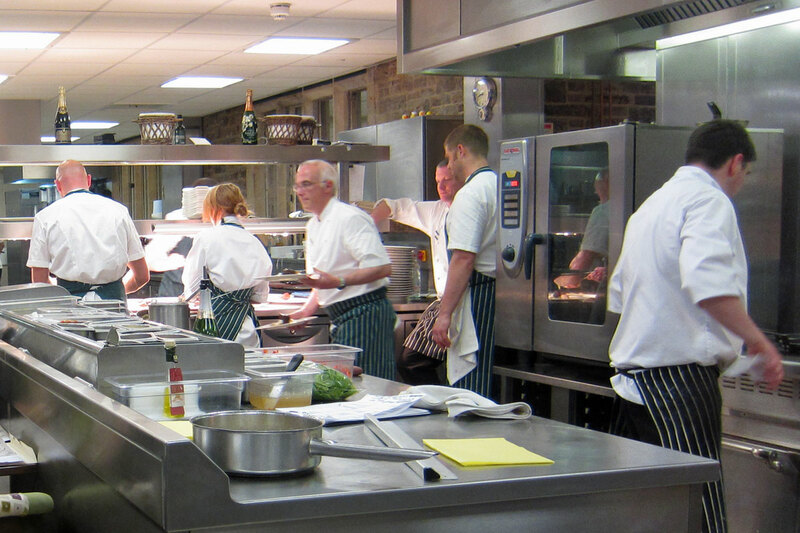 It almost reminded me of the magic of the dishes at Coworth Park. 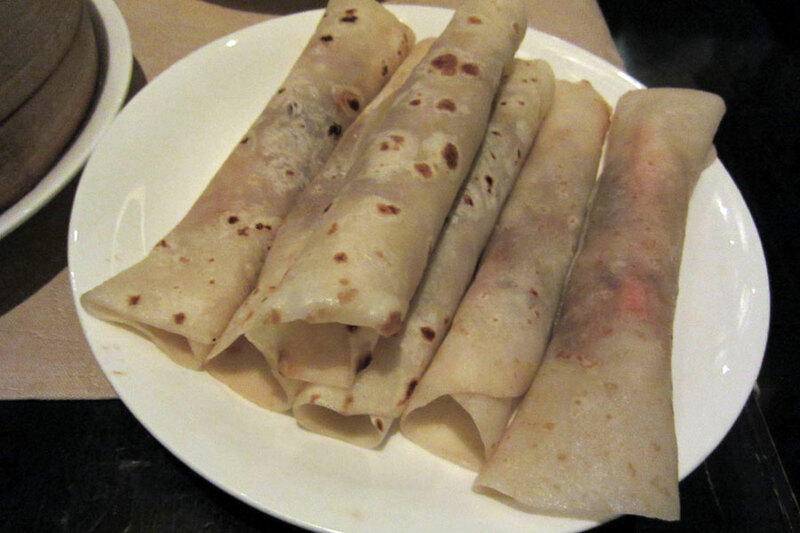 The second course was Pollack. 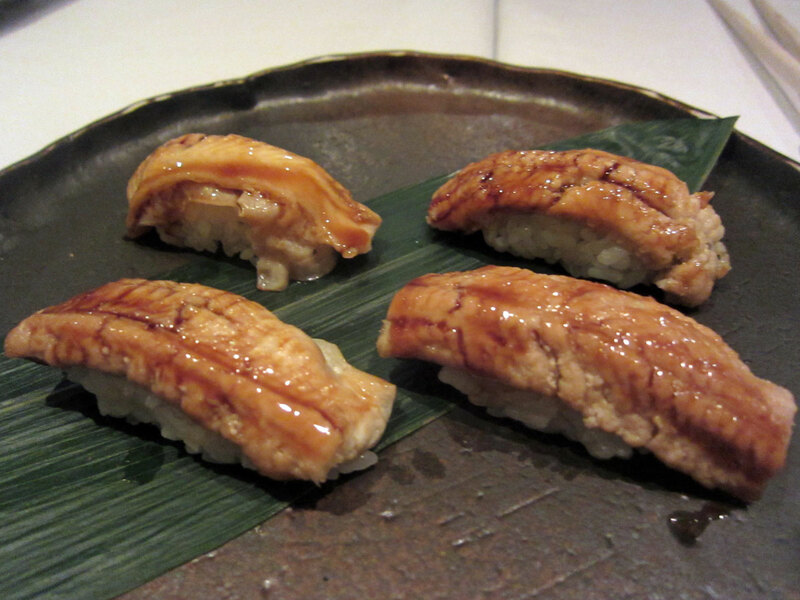 The fish was beautifully cooked, and I loved the contrast of the crunchy cashew nuts accompanying this dish. 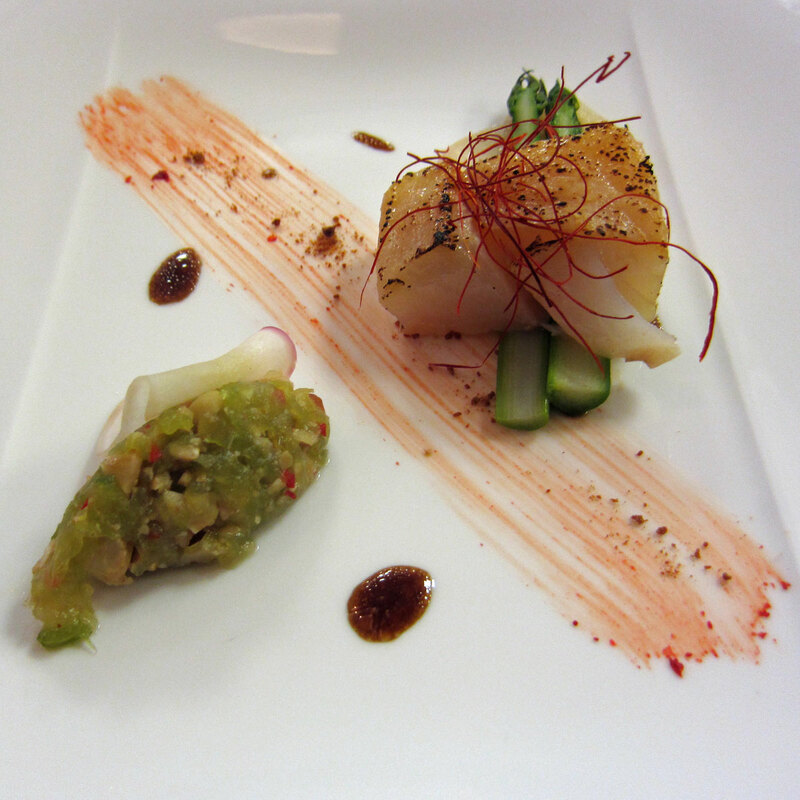 The turnip and cucumber provided an interesting contrasting flavour, and accented with a bit of miso. 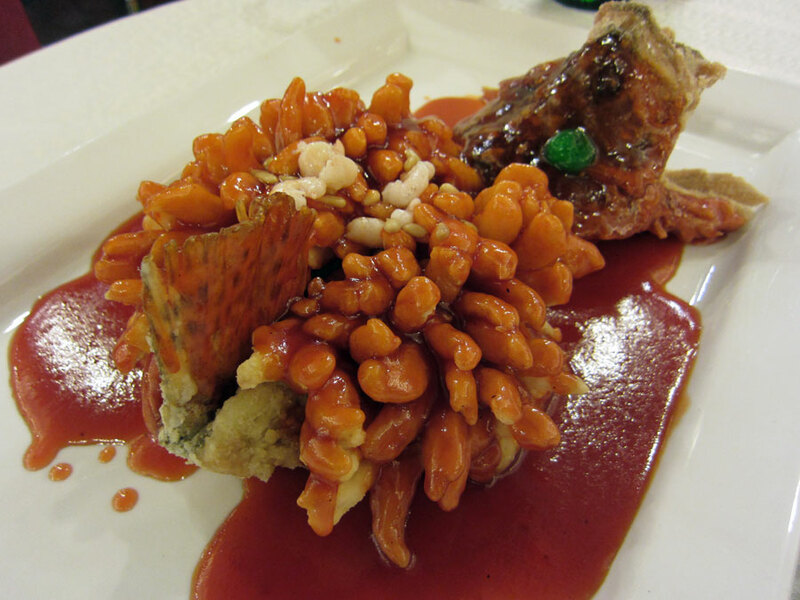 However, none of the flavours dominated the dish. I could easily have had a second plate of this. 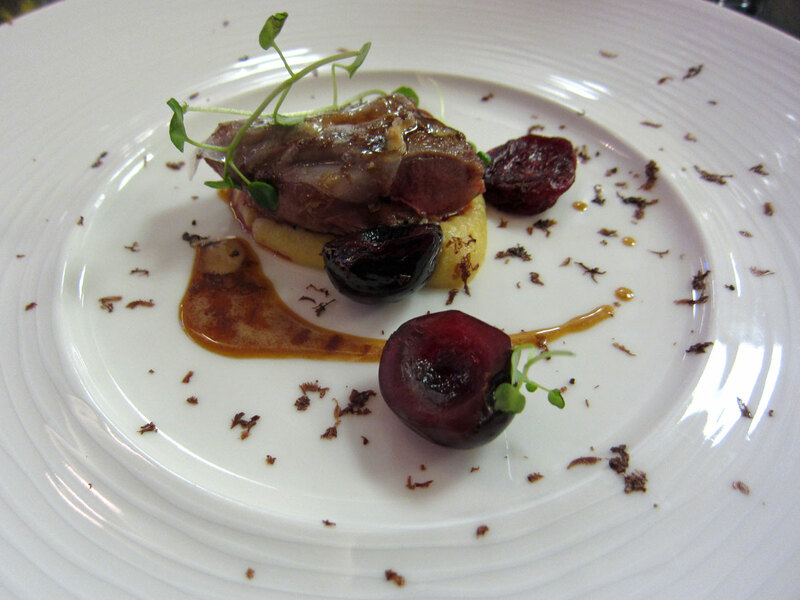 The pigeon dish was next – it was by far the most tender piece of pigeon I’ve ever had, and the flavour was wonderful. The plate was peppered with tiny chocolate flakes. 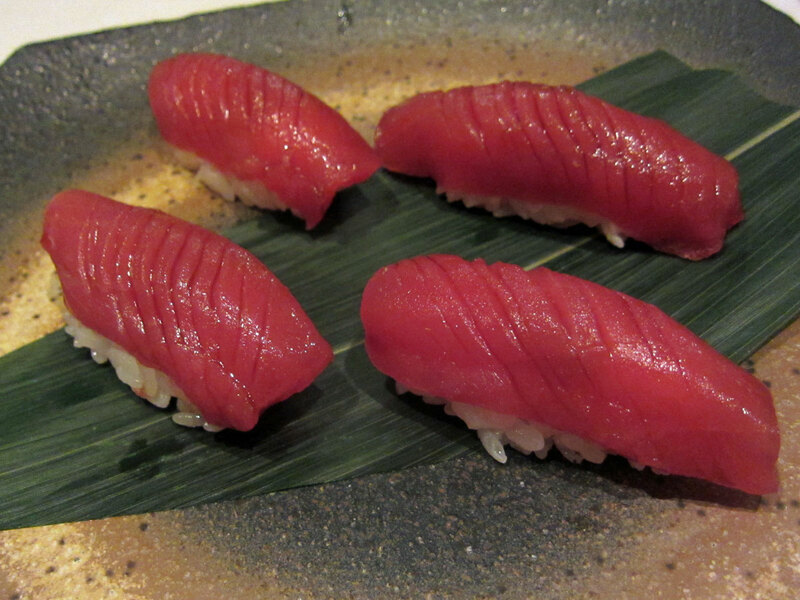 What I thought was supposedly cherries on the plate turned out to be tomatoes – the sweetness was wonderful. The polenta was there to just soak up any remaining bits of the flavour from the plate. The next course was buffalo cheek which was cooked so well that it literally melted in the mouth. 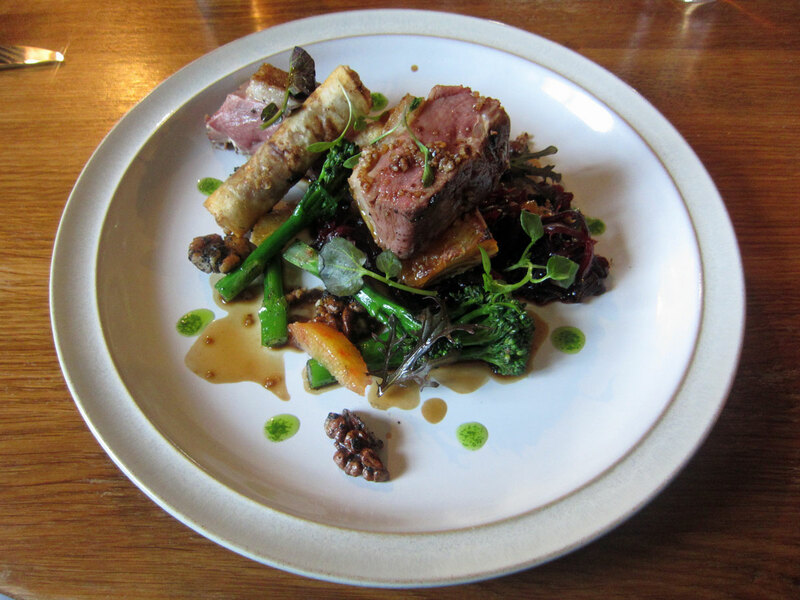 The meat on its own was moist and has a mild flavour, but the dish was transformed when eating the meat together with lemon curd, wasabi meringue, artichoke, pearl barley and basil sauce – suddenly all the flavours came to life in the mouth. 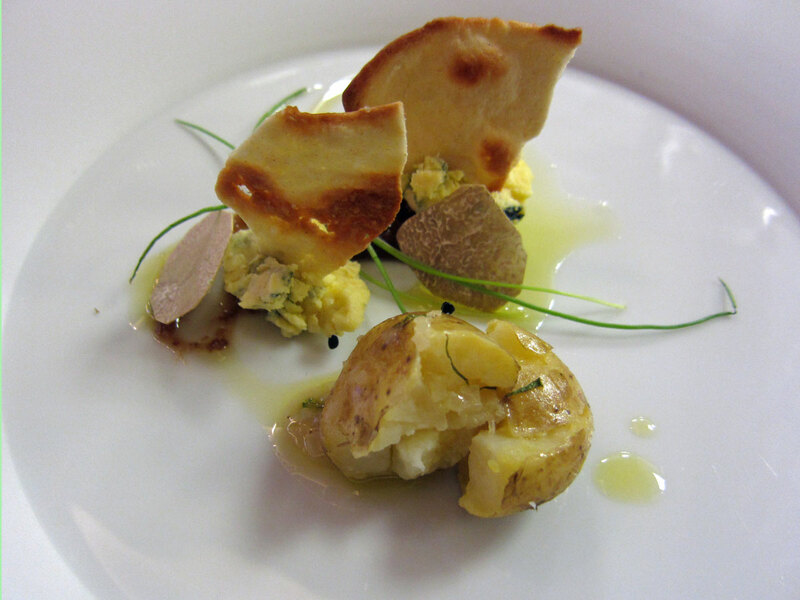 The “cheese” course was Barkam blue cheese with truffle, mint, onion and potato. There are only very few cheeses that I like, and blue cheese is not one of them. Still, the combination of the ingredients is an interesting concept especially with the potato right in front of me. The dish was a twist to onion and cheese crisp (again, not something I’d have usually), and the after-taste certainly reminded me of that. I finished it though it’s not something I’d like to have again, but that’s purely based on personal taste rather than something fundamentally wrong with the dish. I could not decide whether the sixth course was meant to be a palate cleanser or a proper dessert. 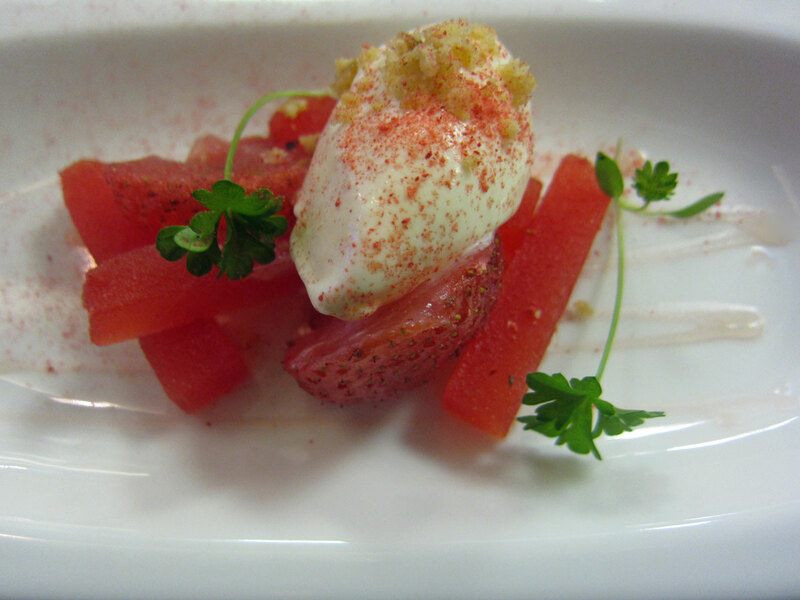 Either way, the vibrant red colour on the dish was stunning – it was watermelon batons with moscatel vinegar strawberries, lime and clotted cream. The taste was simply refreshing in the mouth, and it’s a shame that it was not a hot summer evening as I could just see myself sitting outside eating this dish again and again. The final course was elderflower with peach melba, green tea sponge, baby daikon leaves, raspberry, vanilla and a few broken pieces of langue de chat. 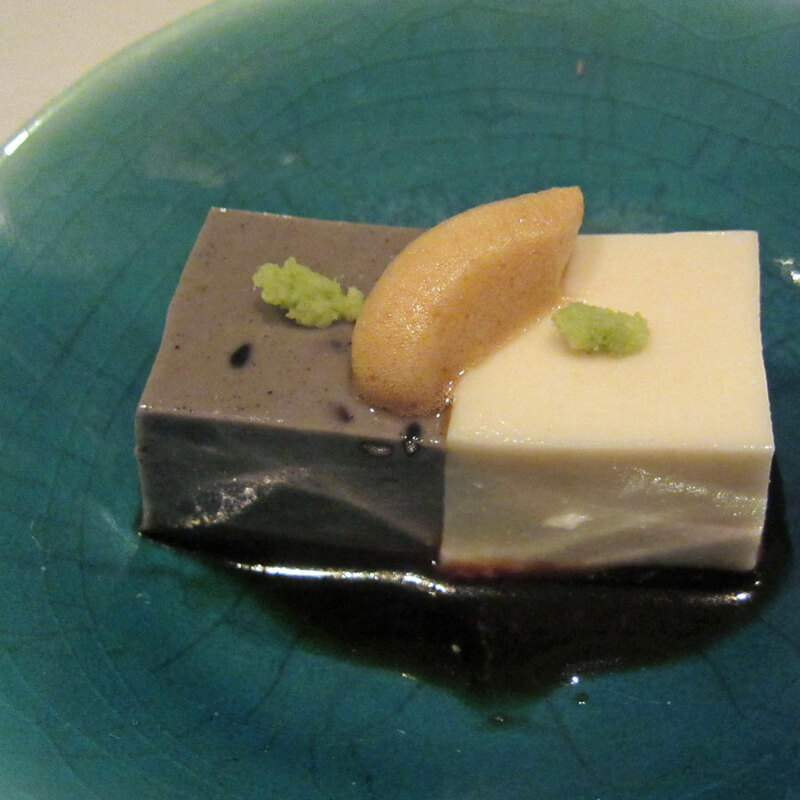 The bitterness of the green tea was balanced by the sweetness of the peach; while the langue de chat biscuits added a bit of crunch to the otherwise soft texture of the dish. 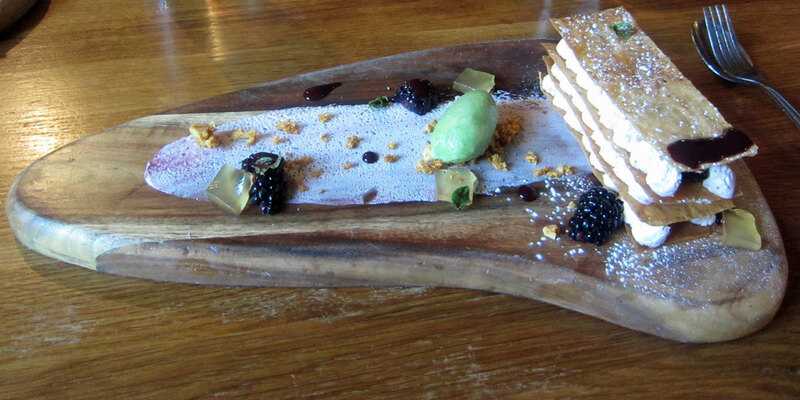 This dessert was also so light that I could have easily eaten a second plate of it without any problems. 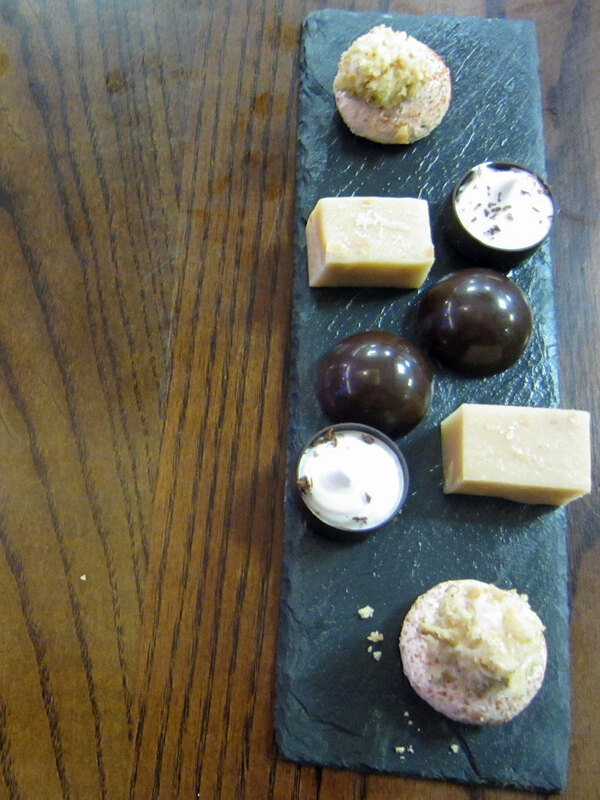 To finish off the dinner, it was the usual plate of petit fours, though we were never told what they were?! 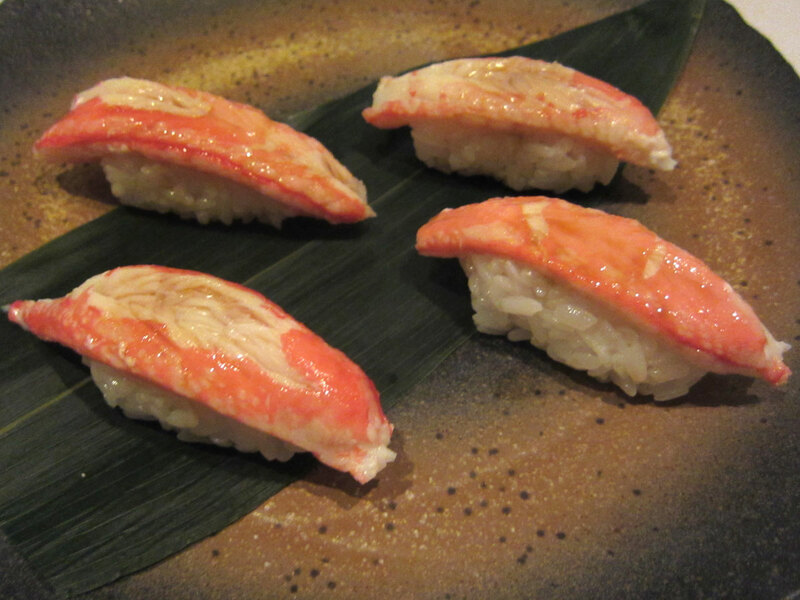 At the end of the meal, I did not feel that I’ve over-eaten – it was just a very pleasant sensation, feeling that I’ve eaten a light meal, and I don’t feel lethargic. It’s a shame that I was at the tail end of a bad cold; otherwise the enjoyment of the meal would be even greater. It would be difficult to choose one single favourite dish as each of them was good in its own right; the use of simple ingredients to create a symphony of flavours is the way to go – as John has said several times that chefs are custodians of nature’s larder and not magicians, and they should not change what nature has given us. The best part of the meal for me was actually to speak to John Campbell and hear from him about his vision of cooking and the journey of re-discovering his passion and drive. Bizarrely enough, while I work in a completely different industry, my view in what I do is also “going back to basics” as many people are just too immersed in doing “fancy things” and losing sight in the bigger picture. So I can totally relate to what John is thinking and can share his excitement. 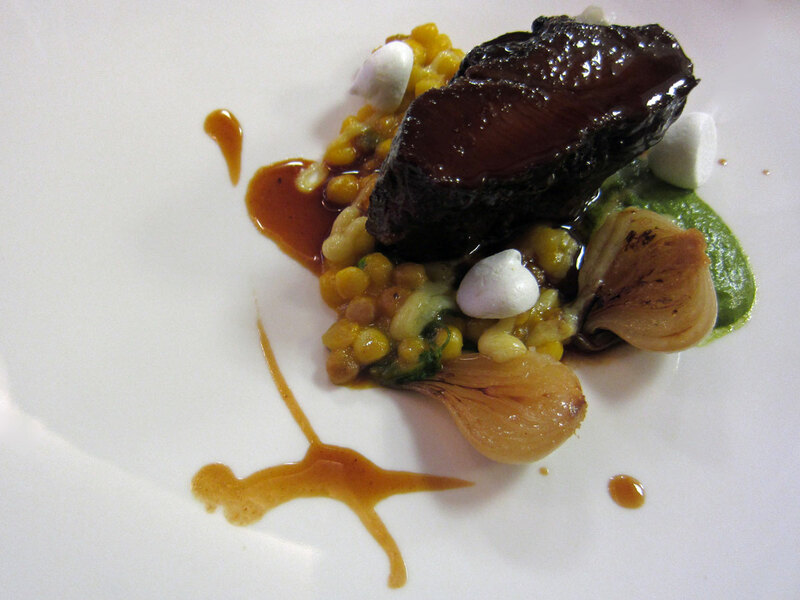 If this meal is a preview of what is to come later on this year when he opens his new restaurant venture, it could easily be the most exciting restaurant opening in 2012, and I’m already looking forward to that! 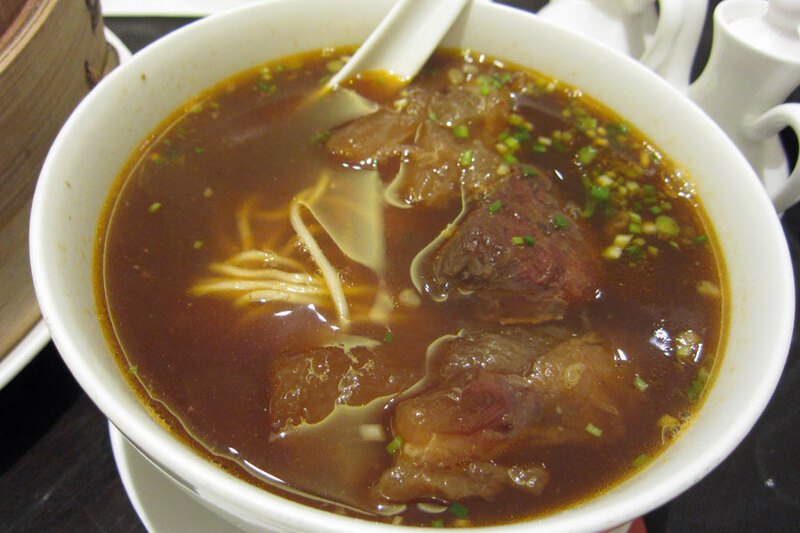 Back in 2000, I went to Suzhou for the first time, and had one of the most memorable meals at the classic Songhelou restaurant. 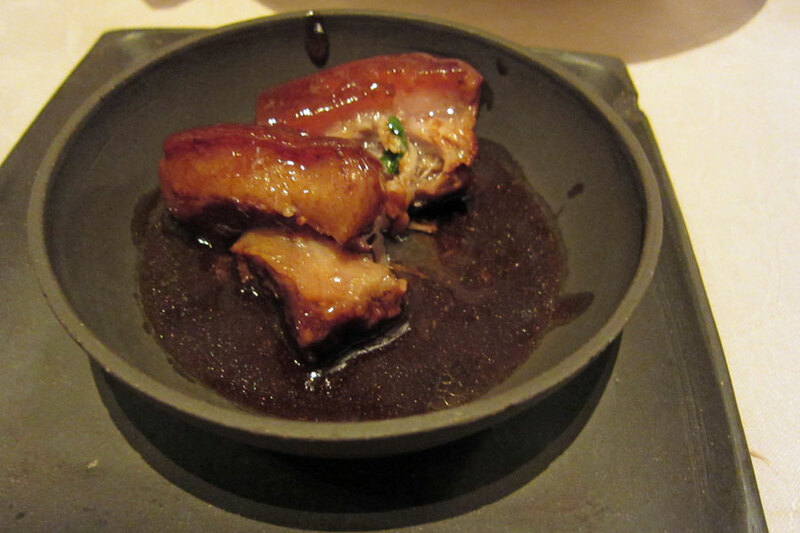 One of the dishes, Cherry Pork, had the most wonderful taste even this old brand has changed. At my last visit it looked old and tired, but bizarrely with the old Chinese charm. Now it’s refurbished and turned into a 21st century restaurant. The decor has received the much-needed TLC. 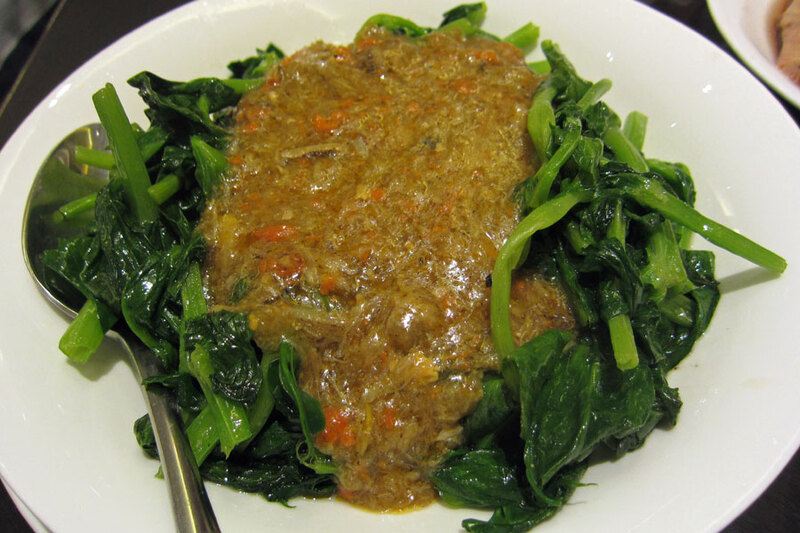 The dishes were still the classic dishes from the region, but with the ever-increasing health conscious customers, it seems that the cooking has undergone major transformation also. 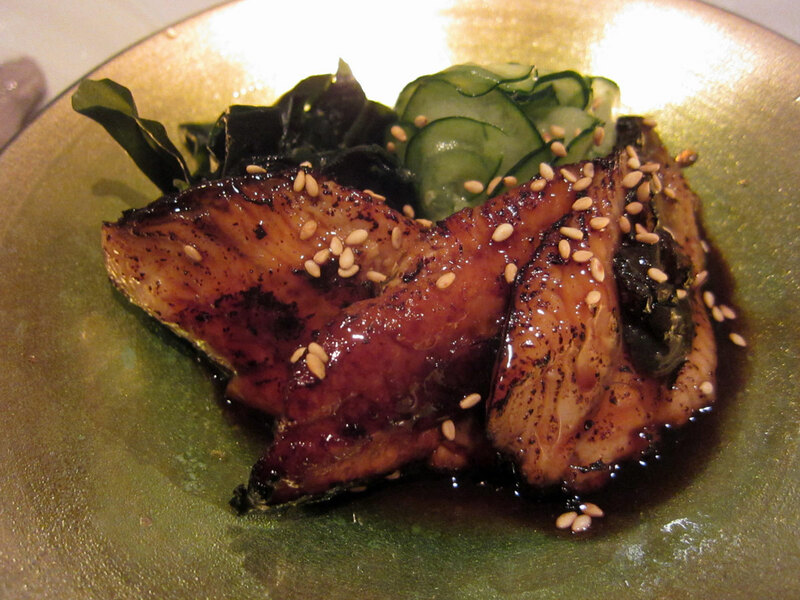 As one of the main excuses for this repeat visit was to re-live the moment of that melt-in-your-mouth cherry pork (with a very unhealthy but absolutely delicious chunk of pork belly fat), we ordered the dish once again. However, this time it was a total disappointment – while there was not so much fat which might be more healthy, but the meat was drier and tougher, and the sauce was not intense like before (the only way to describe what it was like in 2000 – imagine the best gravy made from the meat fat, and then it’s many times more intense with flavour). 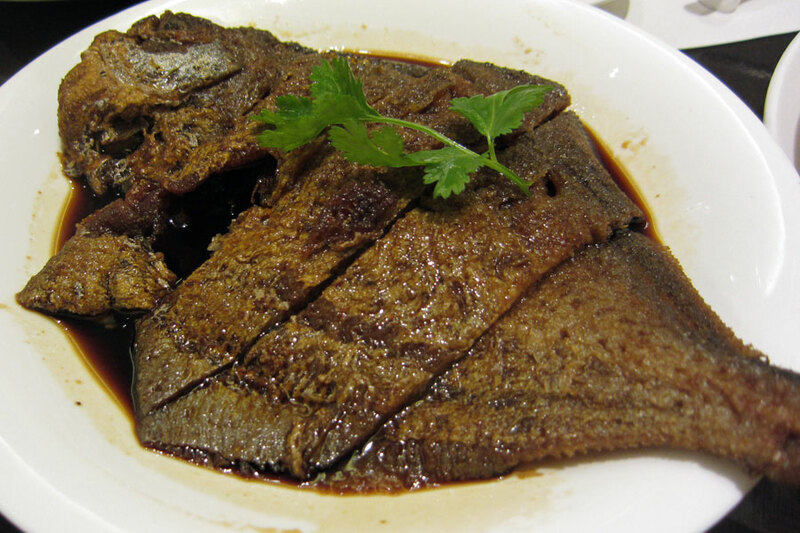 We also ordered another Suzhou classic dish – Squirrel Fish. 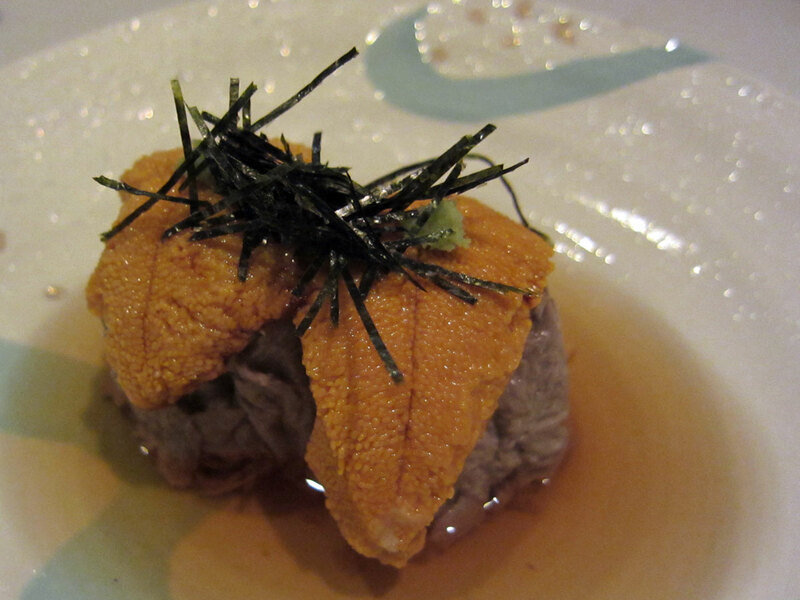 This was not a new species of fish; instead it’s a fish that’s been deboned, fried and shaped like a squirrel. There’s more information about the origin of Squirrel Fish on the web. 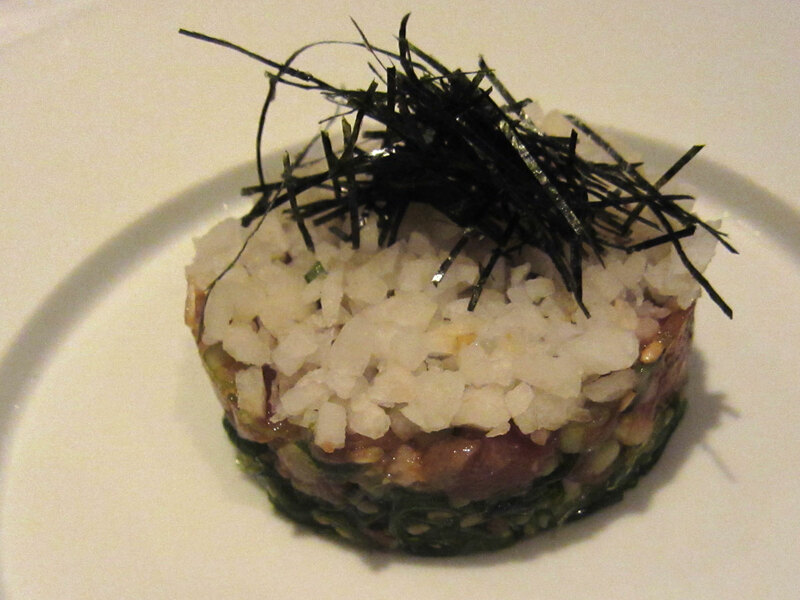 The dish was beautifully presented, but with a more sweet and very little sour flavour. This is not unusual though for this region. 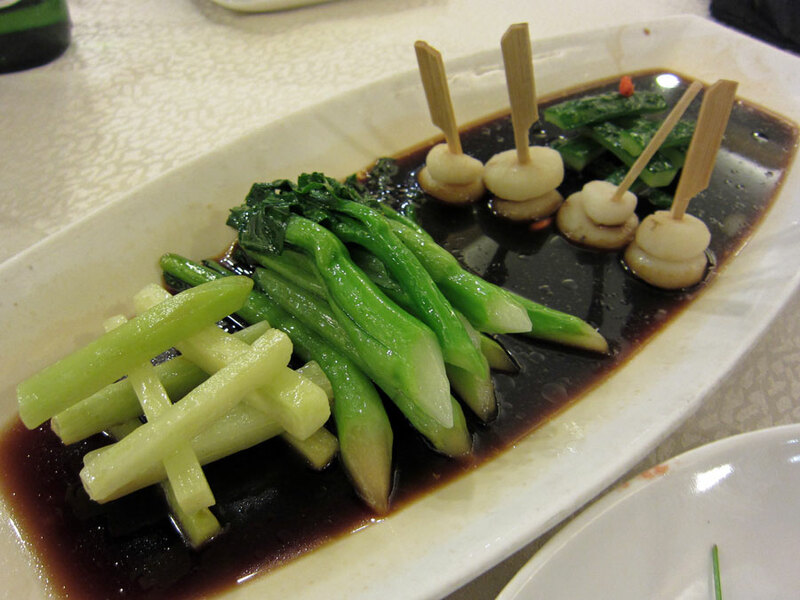 To accompany these two rather rich-flavoured dishes, we had a mixture of four vegetables which was a good dish though the pool of oily soy sauce was slightly less welcoming. 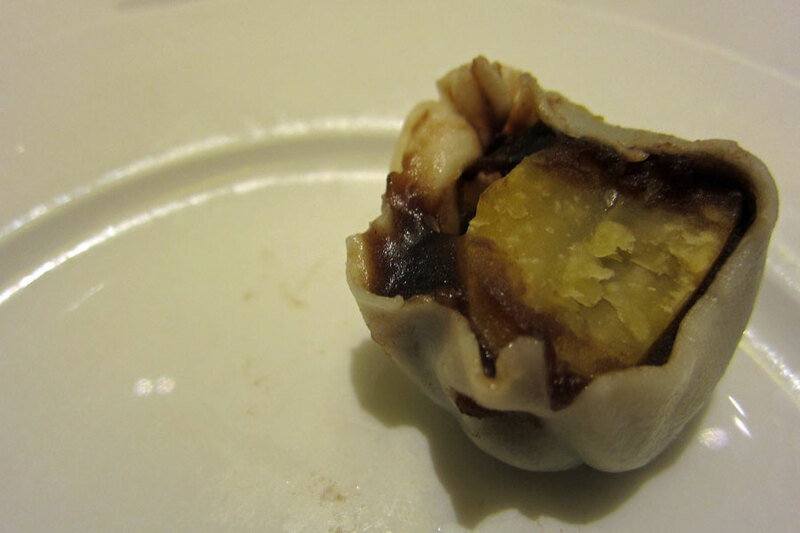 While Songhelou is one of the classic Chinese restaurants in Suzhou, I found that it failed to sparkle on this occasion. 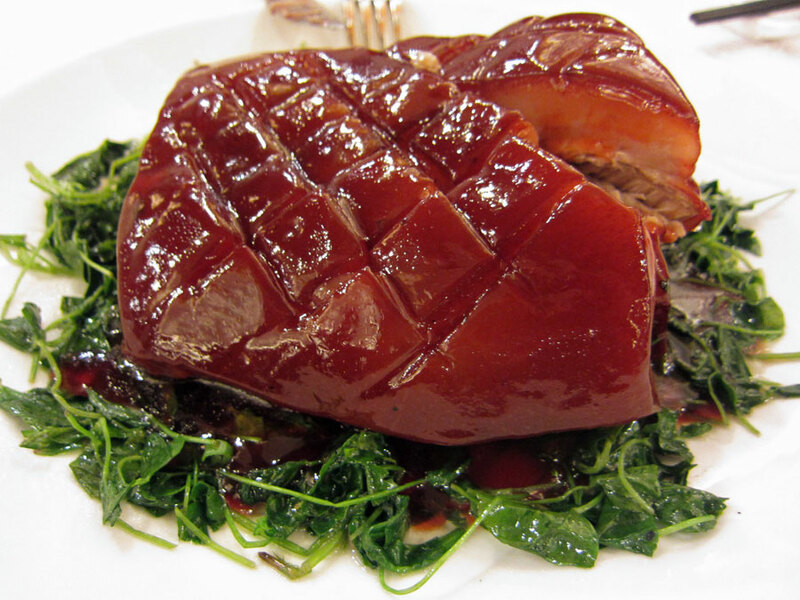 Without the attraction of the Cherry Pork, perhaps I’ll head to Deyuelou on the opposite side of the road next time I’m in Suzhou. 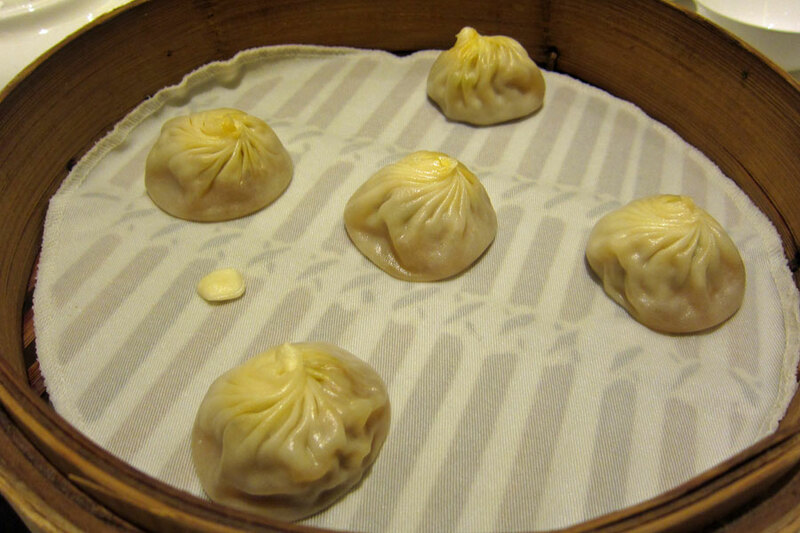 Shanghai has changed a lot over the years, and with the rise of the new wealth and the hunger for good food, there have been a lot of new exciting restaurants cropping up all over this metropolis. 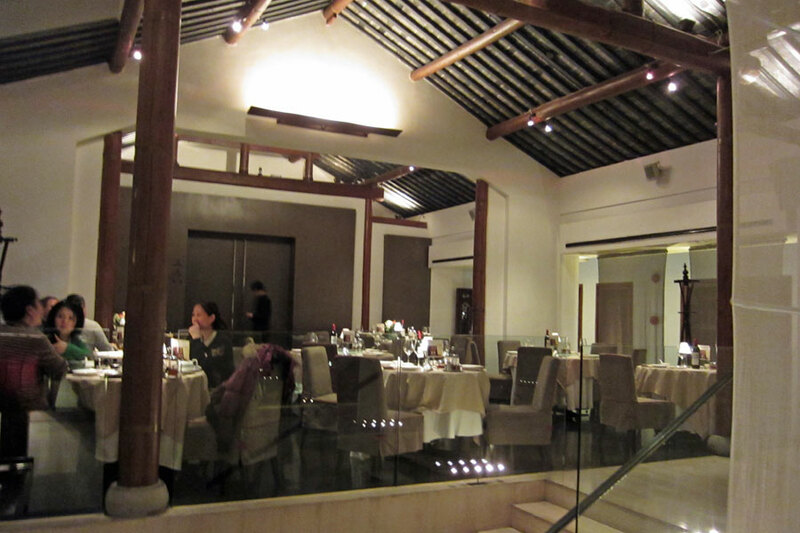 The area of Xintiandi, which did not even exist at the turn of the millenium, has become an affluent area for dining and entertainment in Shanghai. The pedestrianised area with the Shikumen architectural style represents one of the most successful redevelopment models. 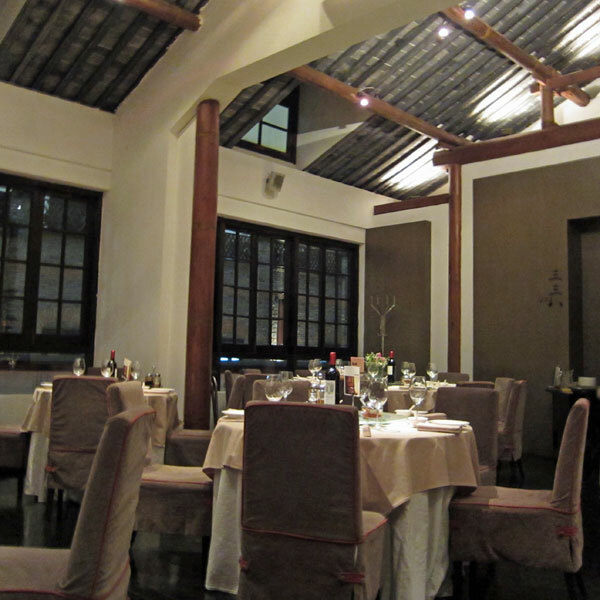 While Ye Shanghai is a modern Shanghainese restaurant in Xintiandi, the name of the restaurant comes from a classic Chinese song from the 1930’s by the Shanghainese singer/actress Zhou Xuan, and the restaurant oozes the decadance of the fashionable Shanghai in the 1920’s/1930’s. 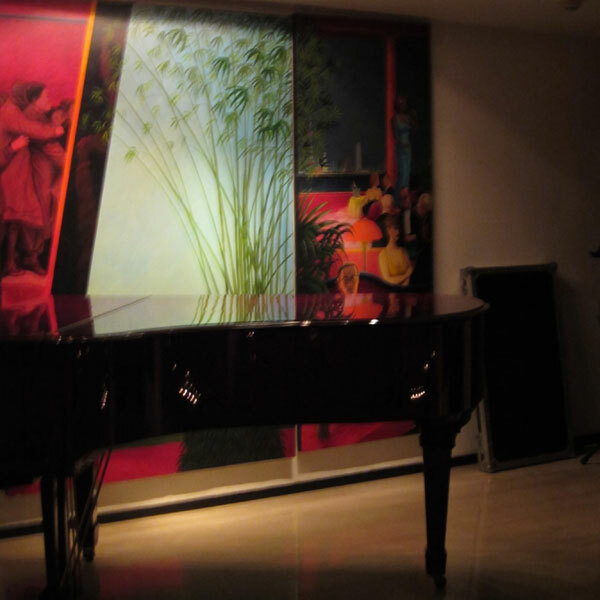 In the evenings there’s a pianist playing music in the background. The menu was quite extensive but one dish caught my eye straigh away: “Pot Pourri of 18 vegetables” – I could not possibly identify all 18 vegetables but certainly had cucumber, celery, yellow and red peppers and carrots. I was not even sure if there really were 18 different vegetables. However the dish had a nice refreshing dressing to go with it. 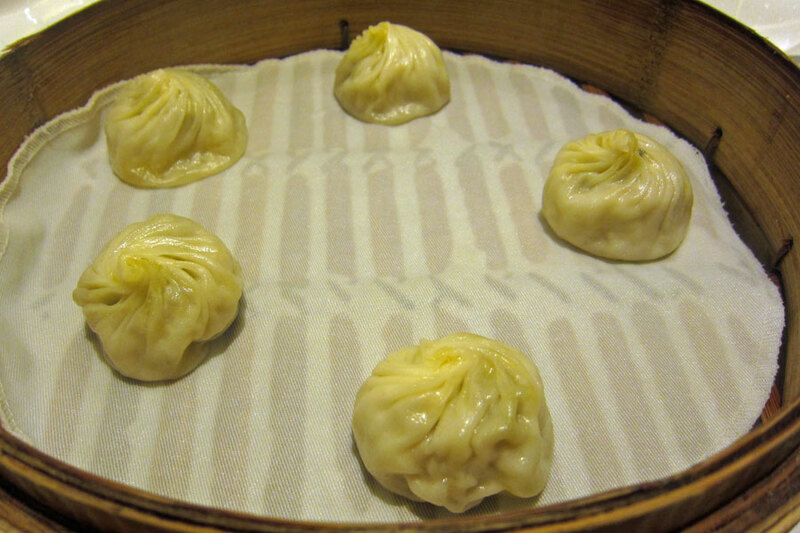 Then I spotted Xiao Long Bao on the menu, and the crab meat and pork ones were supposed to be the specialty at Ye Shanghai, so I had no choice but to order that also. 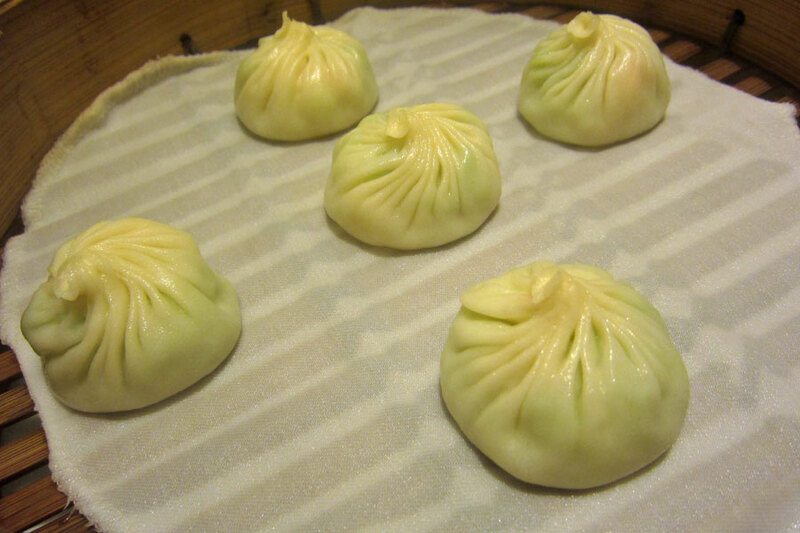 They were delicious with the pastry holding a generous amount of soup without any problems, and the pastry was not thick either. 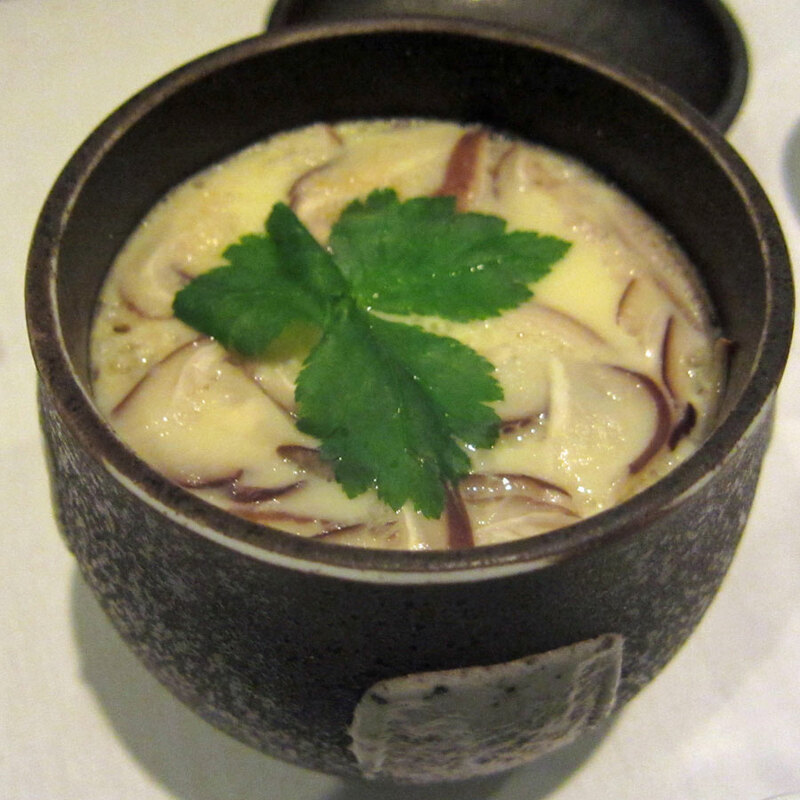 The soup base did not leave a greasy flavour in the mouth afterwards – an absolute joy to eat. For the next few courses, we had Crispy rice with chicken, prawns and mushrooms – this was a bit more bland than I expected, but nevertheless the dish was well cooked; Tianjin cabbage with Jinhua ham which was one of my favourite dishes anyway and my only complaint was that there was just not enough ham (but there never would be); Dongpo Pork was delicious with a rich sweet soya sauce – the sauce was so nice that I could do with mantou (Chinese steamed buns) to soak up all the gravy, but it’s a shame that they didn’t do mantou. 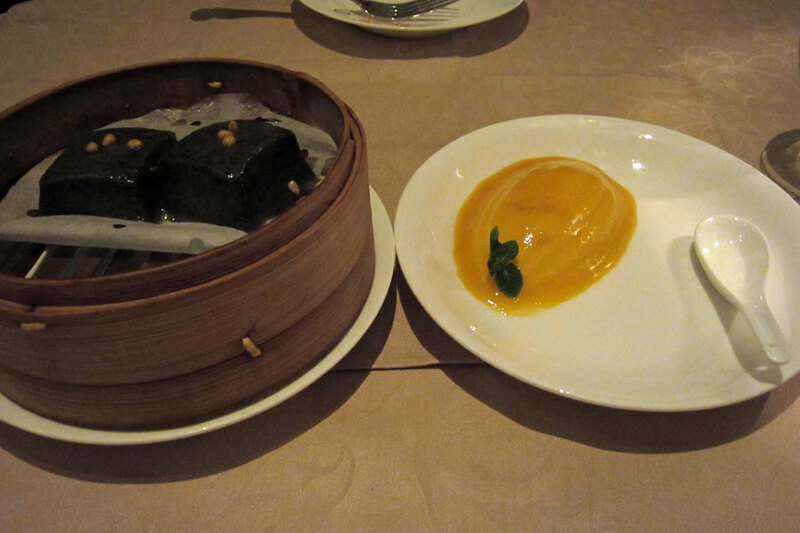 For dessert, we ordered the Mango Pudding and the Ye Shanghai Steamed Black Sesame Rice-flavoured Cake. 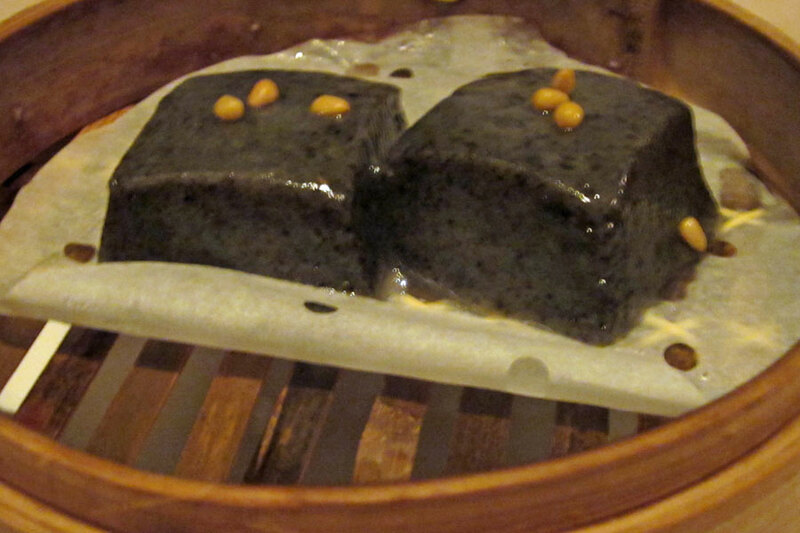 The latter looked like a piece of rich chocolate cake, but it was very sticky and gooey, and not a rich flavour at all – in fact it had a delicate flavour of black sesame (a bit like black sesame soup, but smoother), although it was not easy to take the two pieces fo cakes out from the steam basket because of how sticky and wobbly they were. 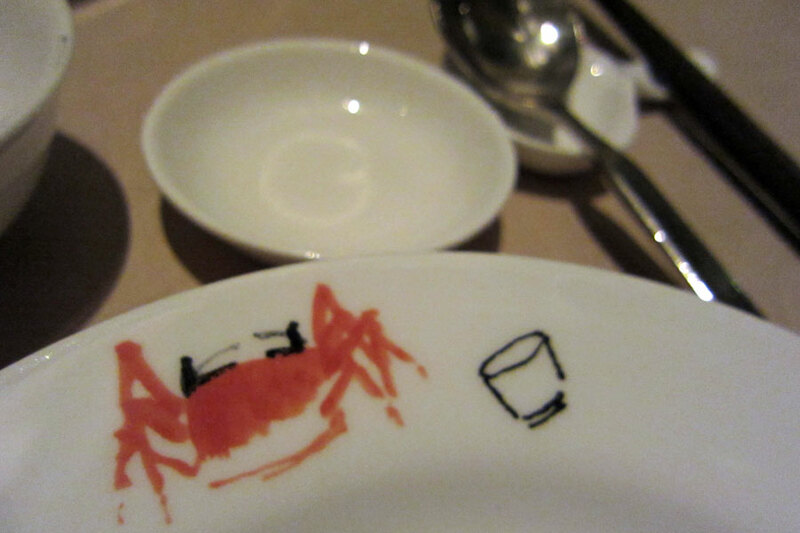 The meal was outstanding – easily one of the best meals I had in Shanghai. The food would have easily scored 9/10. 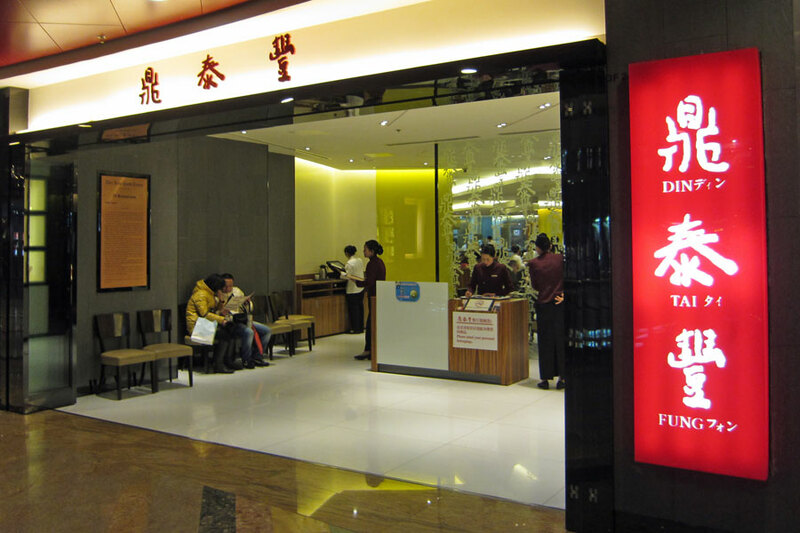 Originally there was not going to be a second visit so soon, but many restaurants were in shutdown mode during Chinese New Year, even in a big city like Shanghai. 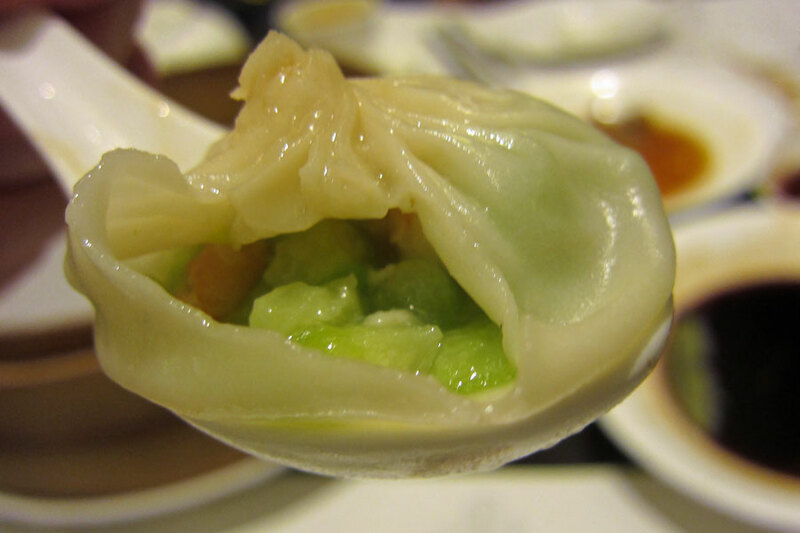 The original plan of dining at 1221 did not materialise as it was closed, so in the end we decided to go to Ye Shanghai once again, especially because after the first meal we were curious about some of the other dishes. As it was our last meal in Shanghai before heading back to London, we decided to go with the classic Chinese dishes that we liked. 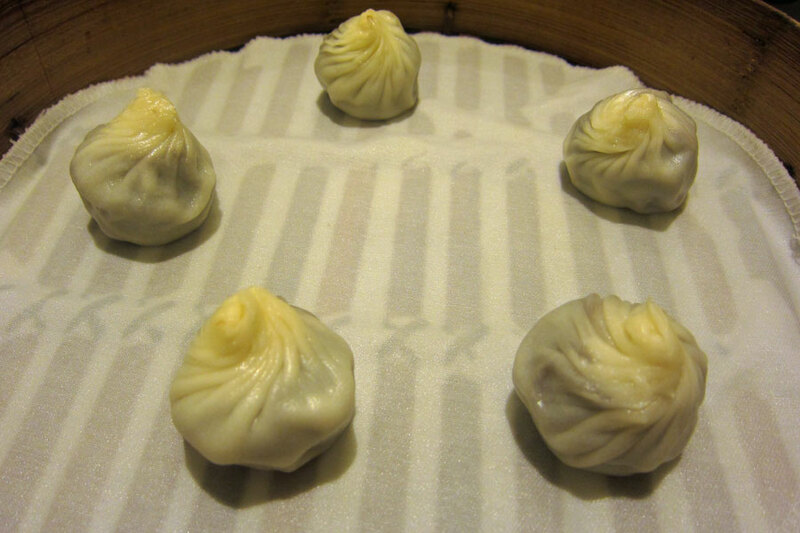 We ordered the Crab Roe Xiao Long Bao – while each dumpling consisted of a generous amount of soup, the flavour of the crab roe was somewhat lacking and, in my opinion, not as good as Nanxiang. 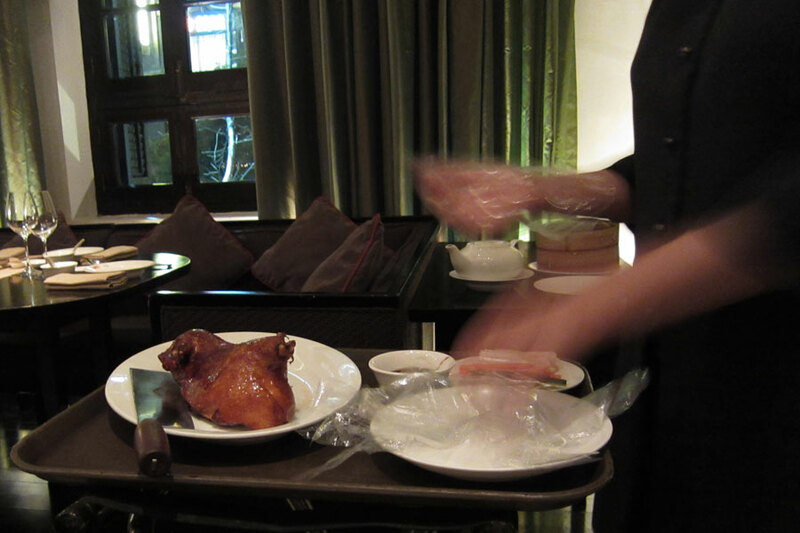 The Peking Duck came in two courses. 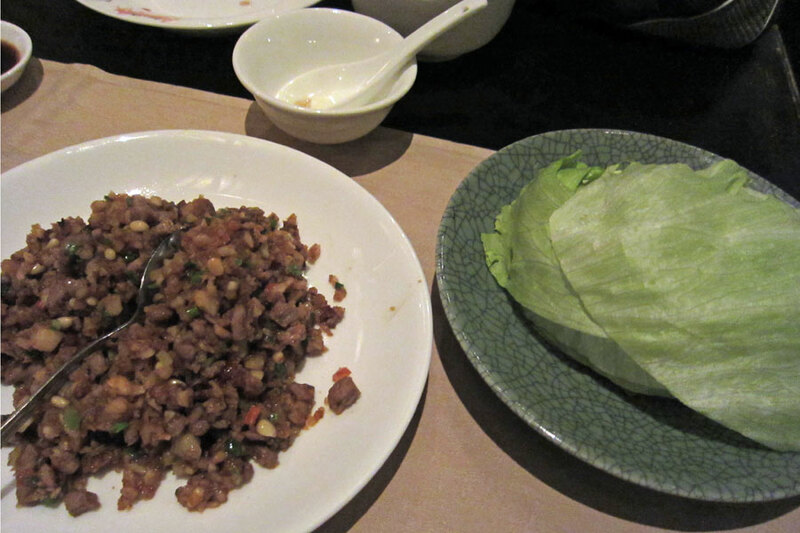 The first course was the traditional duck skin with pancakes, and then the second course was stir-fried duck meat with lettuce. For the first course, instead of leaving everything for us to assemble, the waitress prepared the pancakes with the duck skin, scallion, cucumber and carrots for us. Nice thought but it took away part of the fun really. Also there was not enough duck but too much accompaniments, and the pancakes were a bit too thick also. For the second course of stir-fried duck meat with lettuce – the stir-fry was a bit more gooey than expected but that actually made the meat less likely to fall out from the lettuce – the flavour wasn’t quite even across the dish, so for certain mouthful the flavour of the duck was lacking. 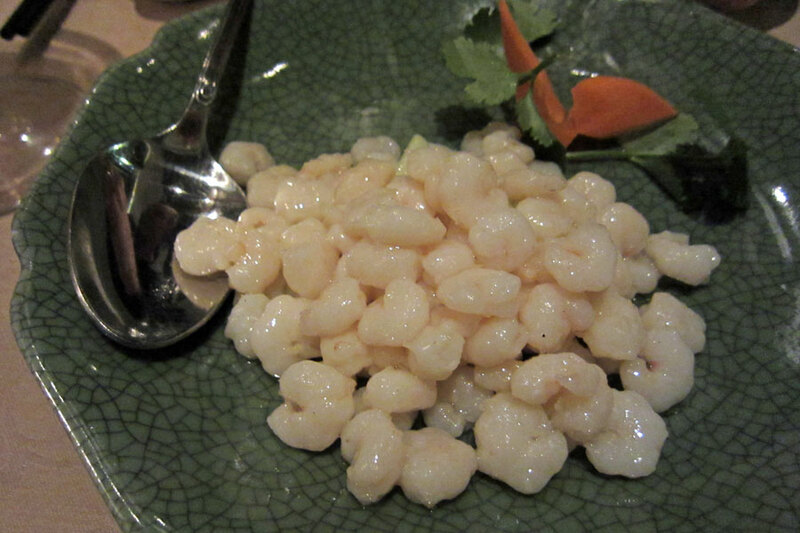 We also ordered Stir-fried River Prawns, a classic dish that sounded and looked simple to do, but in fact really was a test of the cooking – it was a light refreshing dish, without the cornstarch paste taste that some incompetent restaurants would end up with. 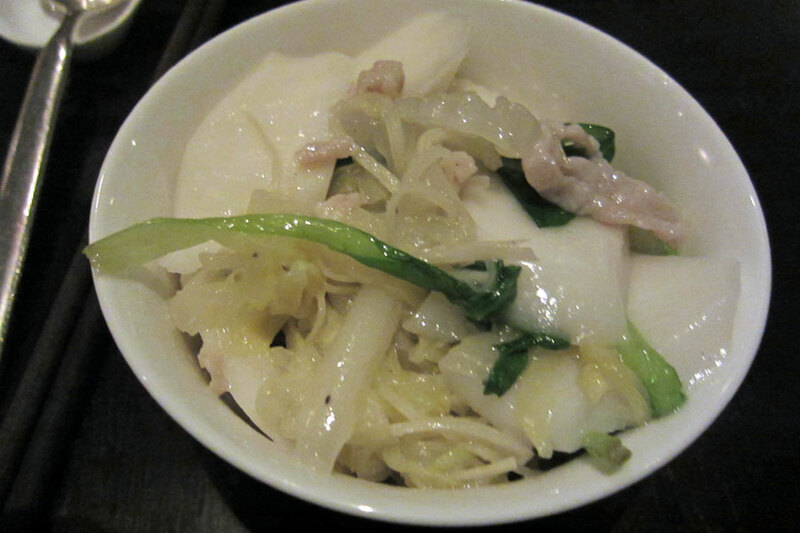 We also ordered Shanghai Stir-fried Rice Cakes, which was cooked with pork and vegetables – the dish was OK, nothing to write home about really. 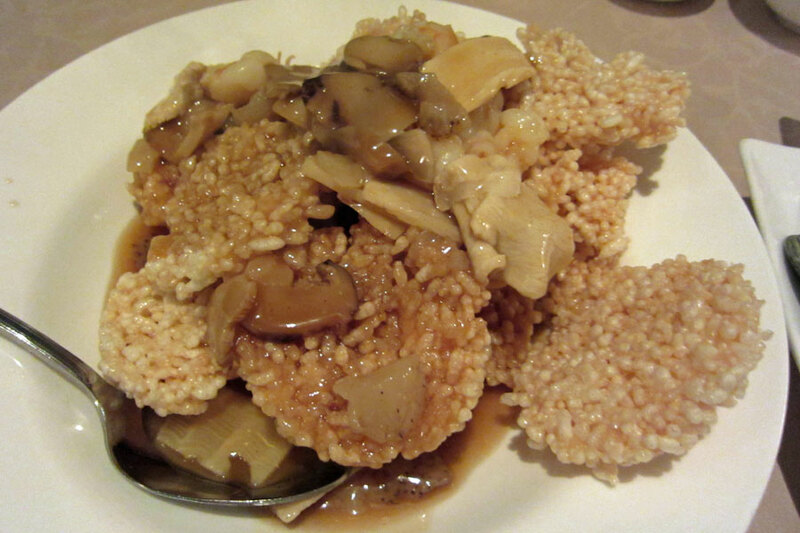 However the texture of the rice cake was not as nice as Restaurant 1931’s rice cake. 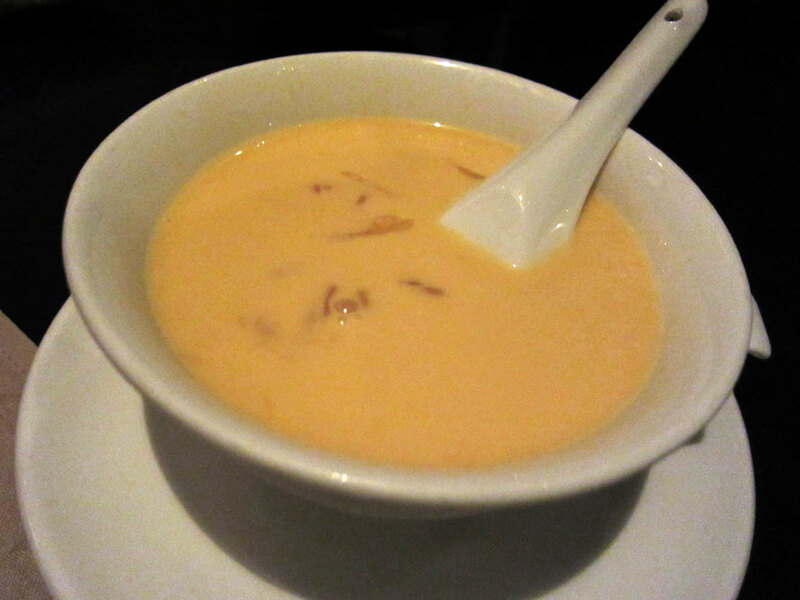 For the desserts, Russell chose the Mango Sago Cream with Pomelo while I had Glutinous Rice Balls with Osmanthus. Not being a fan of Russell’s dessert, I had a mouthful and it was actually much better than I expected – there was a nice balance of mango and pomelo flavours. 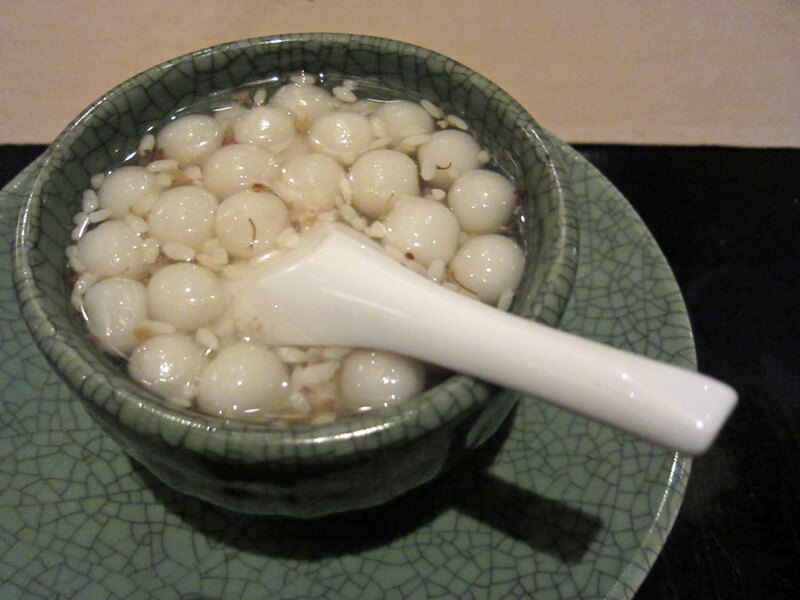 For the rice balls, there was a generous amount, and the osmanthus gave the dish a more refined taste. Both were nicer than the desserts from the previous visit. The food at this second visit was somewhat less impressive than the first one, with the Peking duck being a real let-down. 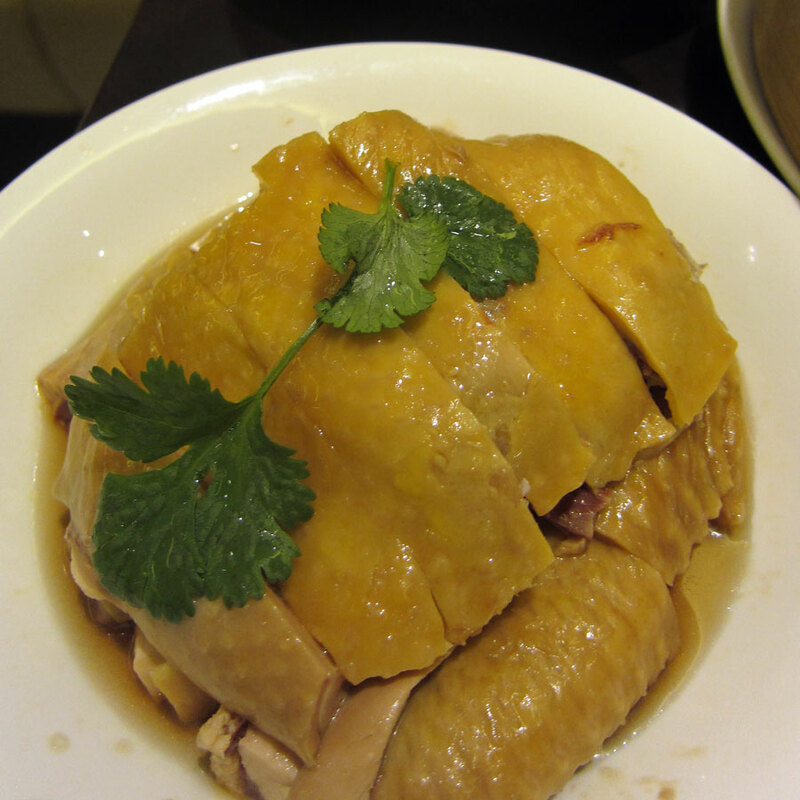 But then this is a Shanghainese restaurant and so I should not expect Peking duck to match Dadong or even Quanjude. 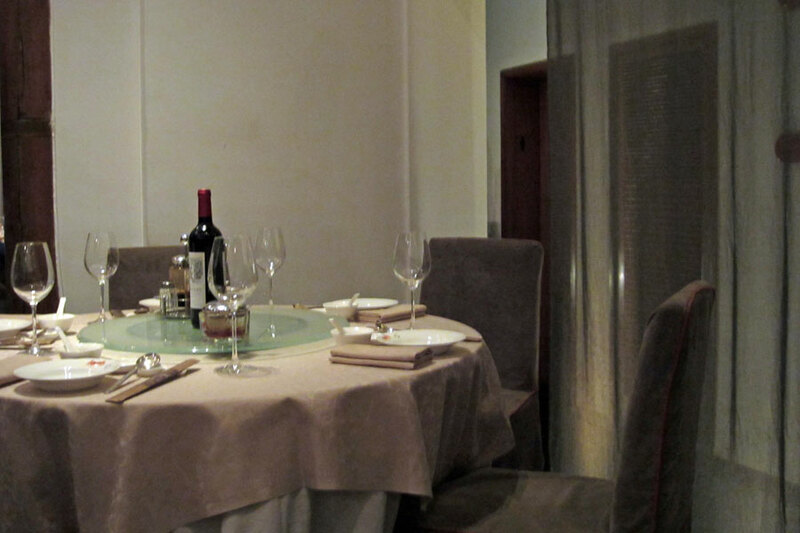 This restaurant is a top choice for a nice meal with friends or with business colleagues – beautiful decor and professional service. 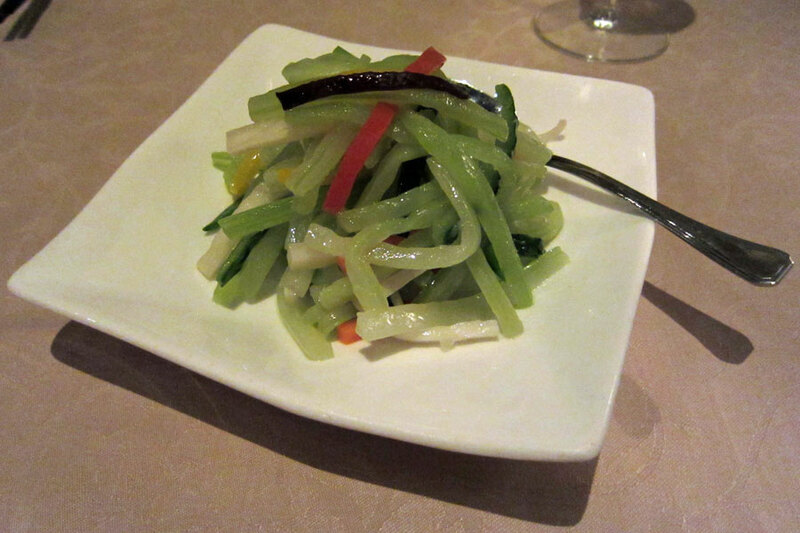 There is a mixture of classic and modern Chinese dishes to choose from. 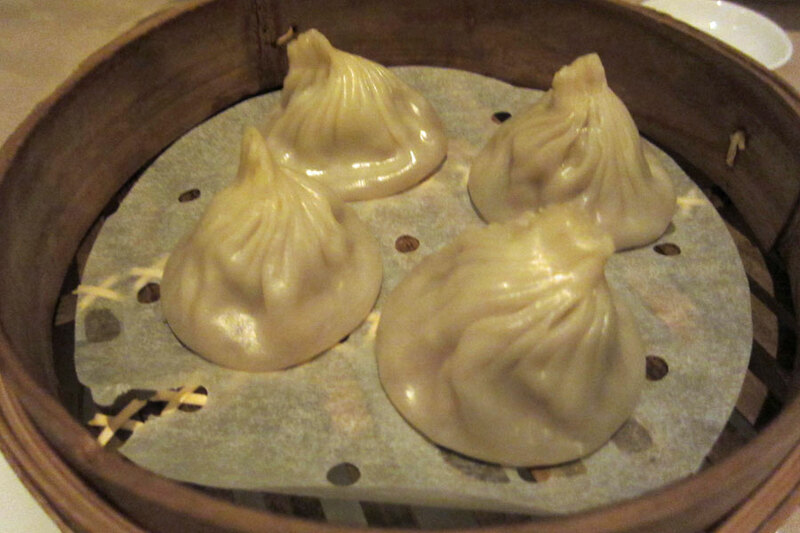 Definitely a place for me to go back again next time I am in Shanghai.